‘There is no such thing as Macra! Macra do not exist! There are no Macra!’ This is a statement which exists at the core of the 1967 Doctor Who story The Macra Terror in more ways than one – being a deception central to the narrative of The Macra Terror on one hand, while in reality it’s also one of the many missing or incomplete stories from the 2nd Doctor’s era. Now that a new animated version of The Macra Terror has been released on DVD and Blu-Ray there’s never been a better time to reflect on this lost Doctor Who story from the 1960’s. 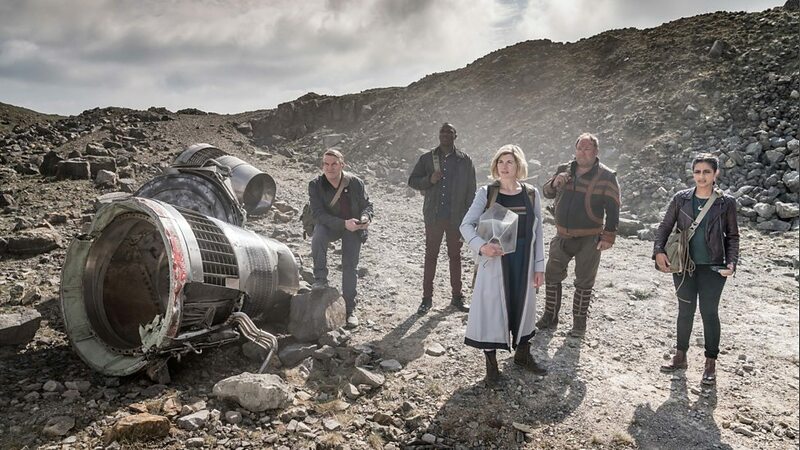 Having seen the image of a giant claw on the TARDIS time scanner, the Doctor, Polly, Ben, and Jamie arrive on an unknown planet in the future where they visit a human colony. They encounter Medok a crazed colonist, who is quickly arrested by Ola, the Chief of Police. The colony seems to be a happy place and is run just like a giant holiday camp. However, the Doctor is uneasy, despite the assurances of the Colony Pilot and the message of greeting from the mysterious Colony Controller who appears on a screen to welcome them. The colony has in fact been secretly taken over by grotesque crab-like creatures known as the Macra, who have brainwashed the citizens and forced them to mine a gas for them, one toxic to humans, but essential for the Macra’s survival. 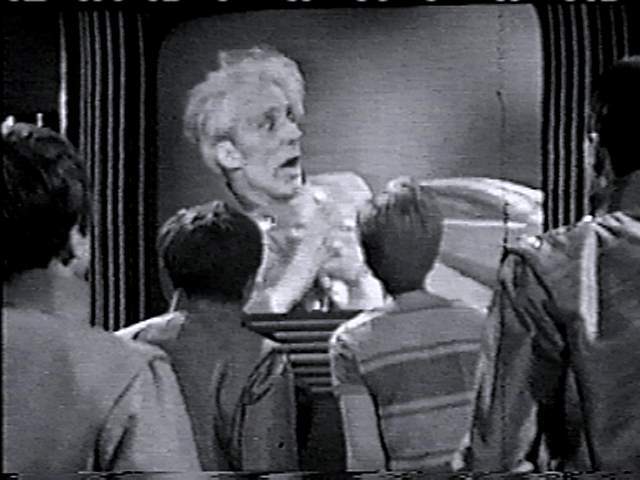 Ben also succumbs to Macra’s influence and turns against the Doctor and his friends. Fortunately he manages to recover in time and helps the Doctor destroy the gas pumping equipment to kill the Macra. The colonists want the Doctor to be their new Pilot. Appalled by such a prospect, the Doctor quickly guides his companions away, dancing past the celebrating colonists as they depart. The seventh story of Doctor Who’s fourth season, The Macra Terror (1967) is Patrick Troughton’s fifth story as the Doctor. While initially appearing to be just another straightforward adventure, with aliens taking control of a human colony, there is a wealth of underlying themes here. Written by Ian Stuart Black, The Macra Terror draws on a number of influences, particularly George Orwell’s classic Nineteen Eighty Four, while splicing its themes of subjugation to authority with the iconic imagery of many a 1950’s bug movie to great effect. While the more serious aspects of the story are undoubtedly overshadowed by the inclusion of the Macra creatures themselves, the good performances and dramatic scenes make this a very intriguing adventure. Patrick Troughton is on fine form here as the Doctor. Indeed this second incarnation of the Time Lord, with his quiet manner and anti-authoritarian stance, seems perfectly at home here, rallying against the totalitarian regime the Macra have created. The Macra Terror is the absolute antithesis of everything Troughton’s Doctor stands for. 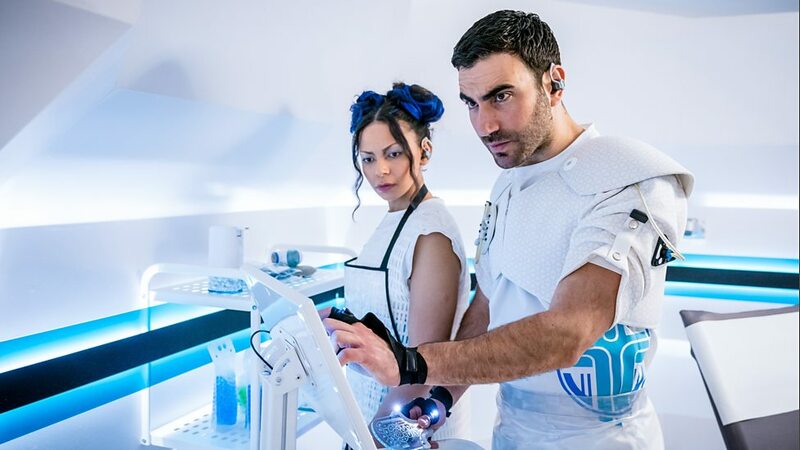 The moment where the Doctor’s appearance is spruced up by a machine, and he promptly jumps into another machine to get all messes up again, while fun, illustrates how quickly the Doctor has grasped the situation, and is already rebelling against the regime that has been established to control the colony. This is another great story for the Doctor’s companions as well. Anneke Wills is right at the heart of the action as Polly, getting confronted by the Macra creatures on several occasions, she also has some great scenes with the Doctor, and I love the moment where he warns Polly about the brainwashing – advising her not to just be obedient and to always make up her own mind. 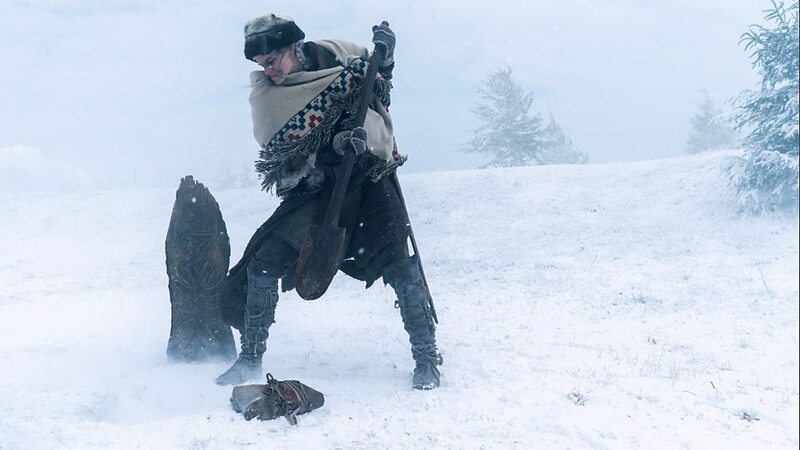 Frazer Hines also get a lot more to do as Jamie in this story, he’s really becoming an integral part of the TARDIS crew now, and Jamie even finds time to do the Highland Fling at one point to evade his pursuers. However, it is Michael Craze as Ben Jackson that really impresses in this story. 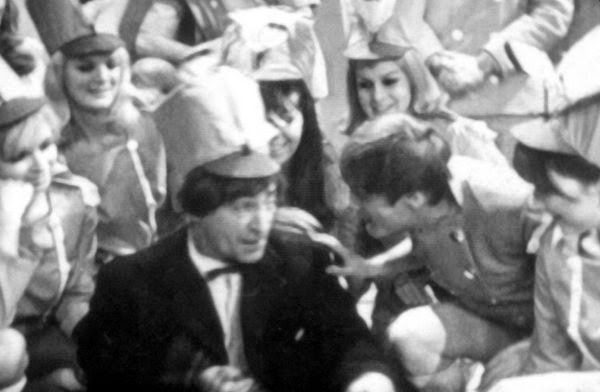 Of all the Doctor’s companions, Ben is perhaps the most down-to-earth, so when he succumbs to the Macra’s insidious influence, it makes it all the more shocking when he turns against his friends like he does, and Michael Craze’s performance is utterly convincing – especially when he is struggling to regain control again. Created by Shawcraft, the company that built many of the most memorable monsters seen in Doctor Who during the 1960’s, the Macra are certainly one of the series most striking creations. These giant, crab-like creatures are actually quite effective. While they may not be the most well characterised monster ever seen in Doctor Who, the very concept of what the Macra are capable of doing is quite unsettling. They feature in some genuinely creepy scenes, especially in the early episodes, where director John Davies swathes them in shadows and mist to heighten the suspense. The moment were Ben and Polly are cornered by the Macra are particularly chilling, as they cower together in horror, the sheer terror that Annike Wills manages to convey in her performance is almost palpable and in turn this makes the imposing threat of the Macra entirely convincing. The supporting cast are also very good, with some great performances that really bring an added depth to the characters. Peter Jeffery’s is excellent as the colonies Pilot, while Graham Leman is great as the Controller. 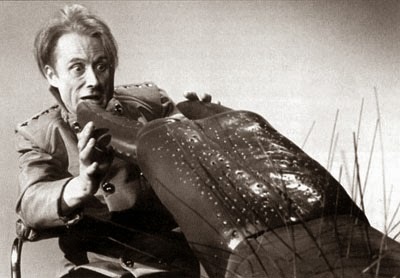 Terence Lodge also gives a good performance as Medok, who is singled out by the authorities because he claims to have seen the crab creatures, and he remains determined to fight the system that has brainwashed his fellow colonists. Unusually, the role of Chiki ended up being played by two different actresses, Sandra Bryant appeared in Episode One, and the role was subsequently recast with Karol Keys in Episode Four. While sadly no episodes of The Macra Terror exist in the BBC Archives, we still have the audio soundtrack to enjoy. Originally released on audio cassette (1992) and then on CD (2000), with linking narration by Colin Baker, the soundtrack was later re-released again on CD in The Lost TV Episodes Collection (2012), this time featuring new narration by Anneke Wills. Telesnaps also exist to document these missing episodes (Reprinted in the brilliant Doctor Who Missing Episodes Special Edition: The Second Doctor Vol I) and the stories few surviving clips were released on The Lost in Time DVD set (2004). Although not the best story on audio, it’s still a good adventure to listen too, and together with the telesnaps and clips, it offers us some impression of the tone and atmosphere of the story. Ken Sharp’s sets look extremely good, the Macra seem very menacing, especially in the first two episodes, and the clips that exist offer further insight into what these episodes would have been like. Then we have the Target novelisation of The Macra Terror (1987), written by Ian Stuart Black, which is also a very good adaptation of the television story – as is BBC’s The Macra Terror audiobook (beautifully read by Anneke Wills) which also brings a whole new dimension to enjoying this classic Target novelisation. The release of the new animated version of The Macra Terror on DVD and Blu-Ray, brought to us by Charles Norton and his skilled team of animators, has had just as much care and attention lavished upon it as previous animated released The Power of the Daleks and Shada. While this animated version of The Macra Terror is not an exact reconstruction of the original story (the omission of the Doctor‘s makeover in the “rough and tumble machine” might irk purists for example), it still offers us a fresh insight into what this story might have been like. The hand drawn reconstructions look extremely impressive, the Doctor and his companions are convincingly rendered, everything has been carefully lip-synched with the original 1967 audio recording, the animation for the Macra is particularly effective, and furthermore the animation can be viewed in either colour or black and white. This release also boast a wealth of impressive extra features: including an extensive animation gallery, a behind the scenes film, surviving footage, an audio commentary, episode reconstructions, and much, much more besides to make this animated DVD / Blu-Ray release about as extensive a version of The Macra Terror as we are every probably ever going to have in our collections. Incidentally, The Macra Terror also featured the first episodes to use the new title sequence designed by Bernard Lodge and realised by Ben Palmer, one which incorporated the image of Patrick Troughton’s face in the titles. The foam machine, soon to become a staple element of many a Troughton story, was also used for the first time in this adventure. 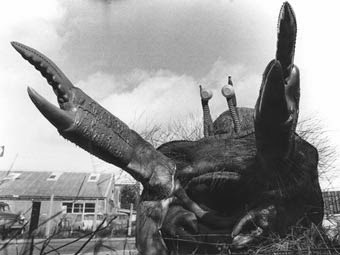 In many respects The Macra Terror is full of good ideas, some are more effective than others, but as a whole the story actually holds together pretty well, and it’s only really the ending where it falls a little flat. However, the Macra did indeed eventually return to Doctor Who in Gridlock (2007), and it was a nice surprise to see these classic monsters again, even if it was only fleetingly. 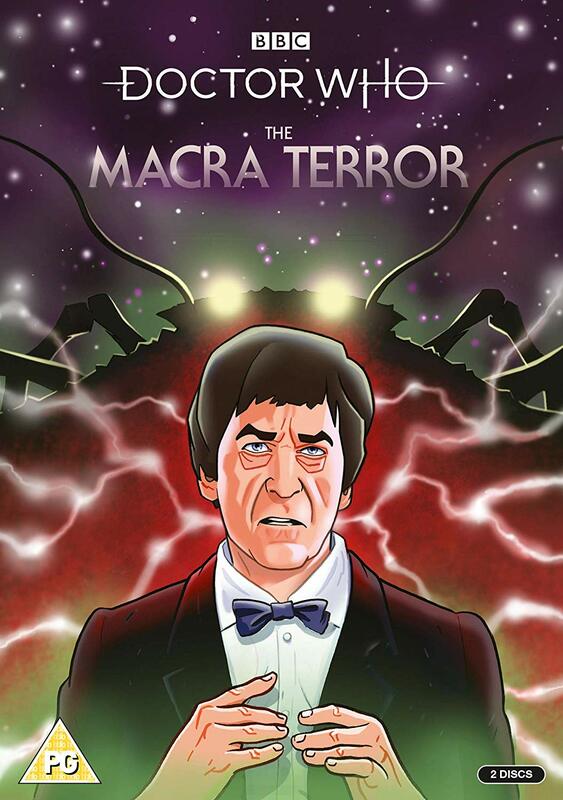 The Macra Terror, while not exactly a classic, is still a fine addition to Season Four. Together with the strong performances from Troughton, Craze, Wills, and Hines, good design, and effective use of the Macra themselves; The Macra Terror is certainly a story that provides an intriguing insight into this period of Doctor Who during the 1960’s. A thrilling new adventure awaits Team TARDIS in Resolution, the Doctor Who New Year’s Day Special! 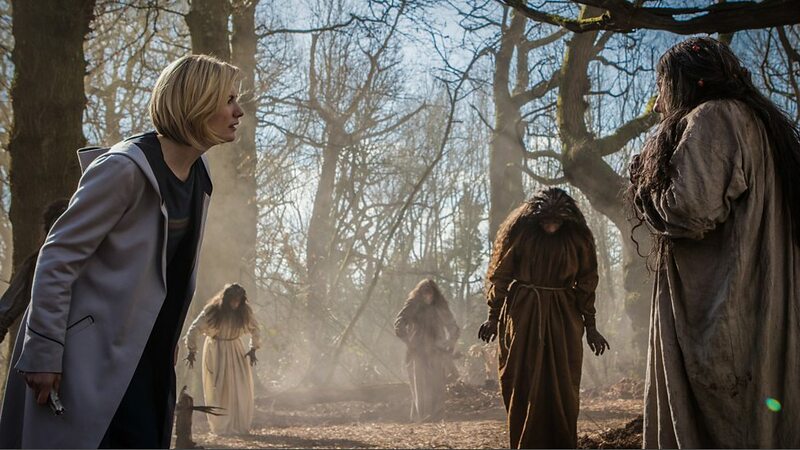 The Doctor and her friends return to Earth as the new year is about to begin. But an ancient evil is also rising, something forged throughout centuries of human history, and now it threatens to destroy the entire world. Although we’ve not had our usual festive themed Doctor Who Christmas special this year, the New Year’s Day special Resolution more than makes up for it. 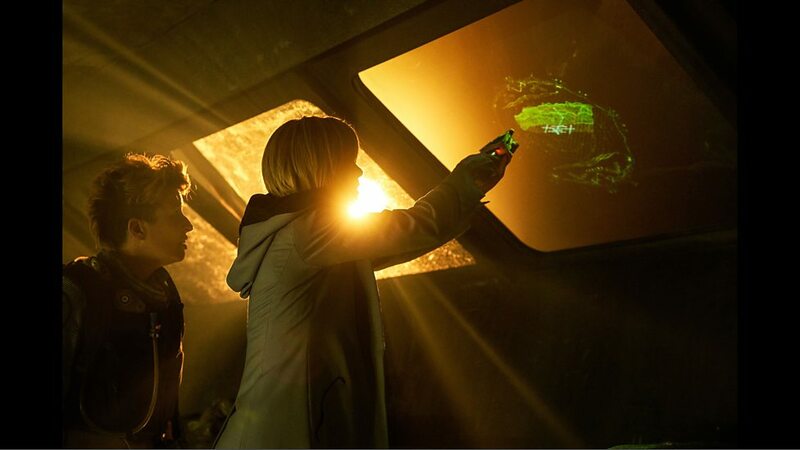 Written by showrunner Chris Chibnal and Directed by Wayne Yip (who also helmed 2017’s The Lie of the Land Empress of Mars for Peter Capaldi‘s final season), Resolution is an epic, fast-paced adventure that sees Jodie Whittaker’s Doctor (now sporting a nice new scarf) uncovering a bizarre archaeological mystery in Sheffield together with her companions Graham (Bradley Walsh), Yaz (Mandip Gill) and Ryan (Tosin Cole), along with new allies Mitch (Nikesh Patel who appeared in Indian Summers) and Lin (played by Call the Midwife star Charlotte Ritchie) who also get caught up in the action. Following the century spanning opening scenes exploring the myth of some legendary custodians, the full scope and scale of Resolution quickly becomes apparent as Chibnal’s frenetically paced script deftly balances the creeping horror awakening at the archaeological dig beneath the Town Hall in Sheffield with the big action set-pieces. The drama and danger ramps up even further once the Doctor arrives and realises the menace is none other than one her deadliest enemies… the Daleks! Yes, the Doctor’s greatest foes are back with a bang in Resolution! Well, at least one of them anyway! 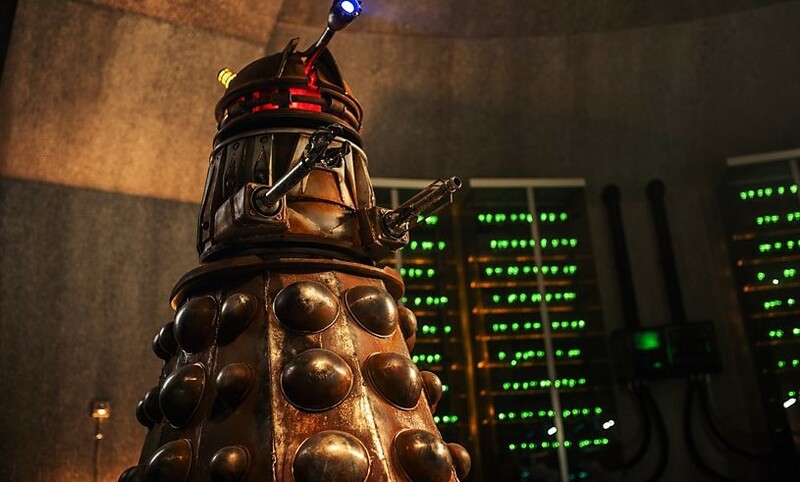 It transpires in Resolution that this Dalek is a reconnaissance scout that was defeated in the 9th Century, its parts divided around the world to be overseen by custodians, but now it has returned – albeit only initially here in its mutant form. We’ve seen how dangerous a lone Dalek can be before in 2005’s Dalek, and the Dalek in Resolution is every bit as deadly. The Dalek mutant also goes a bit Venom at one point, forming a symbiotic bond with Lin. She is able to resists long enough for the Doctor to track her down, but not before the Dalek has been able to rebuild itself. I really liked this steampunk style Dalek and how it cobbled itself together. It’s quite a striking design, very different from anything we’ve ever seen before, but instantly recognizable and packed with hidden weapons! Jodie Whittaker is again on superb form as the Doctor. 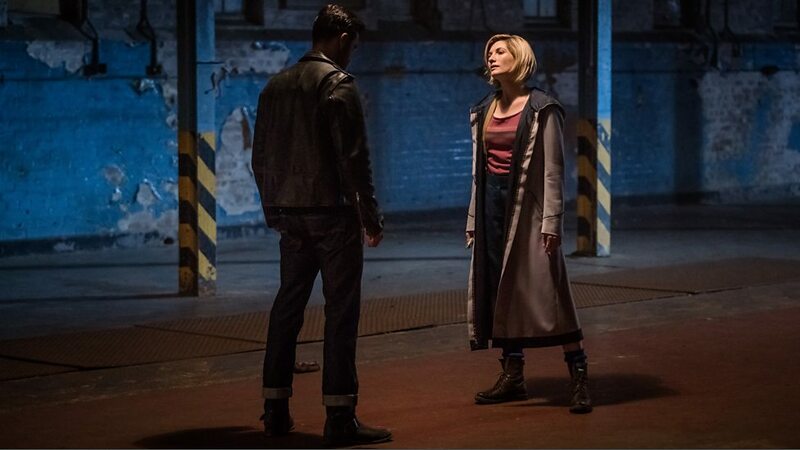 Its great to finally see her incarnation of the Time Lord face-off against the newly reborn Dalek, and the powerful scenes between them were the highlights of the episode. 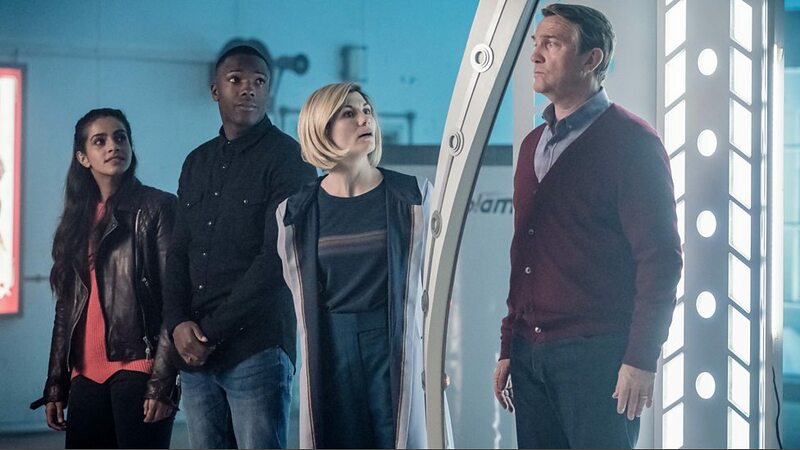 The Doctor’s companions all get a moment in the spotlight as well, Tosin Cole got some great scenes when Ryan has a reunion with his long absent father, Aaron (Daniel Adegboyega), Bradley Walsh once again gets some emotional scenes as Graham, and Mandip Gill is right at the heart of the action as Yaz. 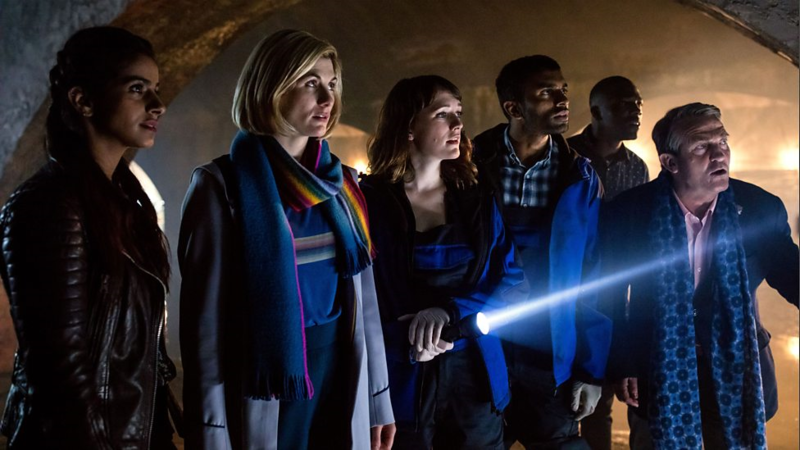 Nikesh Patel and Charlotte Ritchie also make good mini companions for this adventure as Mitch and Lin, especially when Lin is taken over by the Dalek mutant and does all she can to resist the creatures influence. There are moments of fun in Resolution as well, especially when the Dalek shuts down the UK’s entire internet and Wi-Fi, and the shocked population realise they might have to spend New Year’s Day actually having a real – shock horror – conversation! Not even UNIT is safe these days either, having seemingly been scuttled by Brexit, much to the Doctor’s consternation. Wayne Yip’s stylish direction keeps Resolution rattling along at a cracking pace, especially once the Dalek trundles into action against the army. 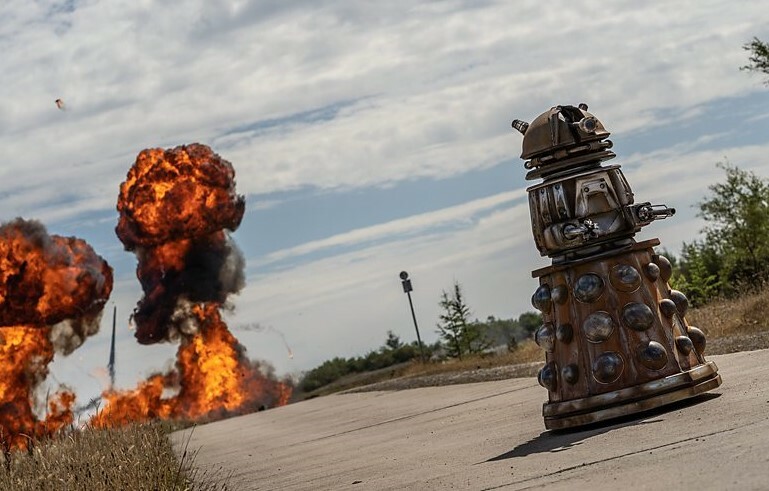 The showdown at GCHQ between the DIY junkyard Dalek and the Doctor and her friends is another spectacular action sequence, one that culminates in a final battle inside the TARDIS itself, and a moving reconciliation between Ryan and his father rounds off the episode in fine style. In many respects Resolution actually feels a lot more like a popper season finale than The Battle of Ranskoor Av Kolos. 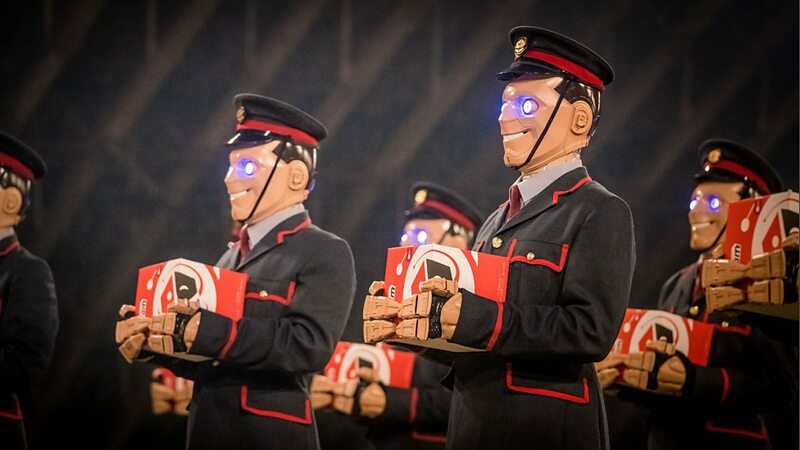 I don’t think the shift from Christmas Day to having a New Year’s Day Doctor Who special has been at any detrimental cost to the series either, after all there’s only so many Christmas themed stories you can realistically tell, and this move also offered a chance to do something a bit different with the format. 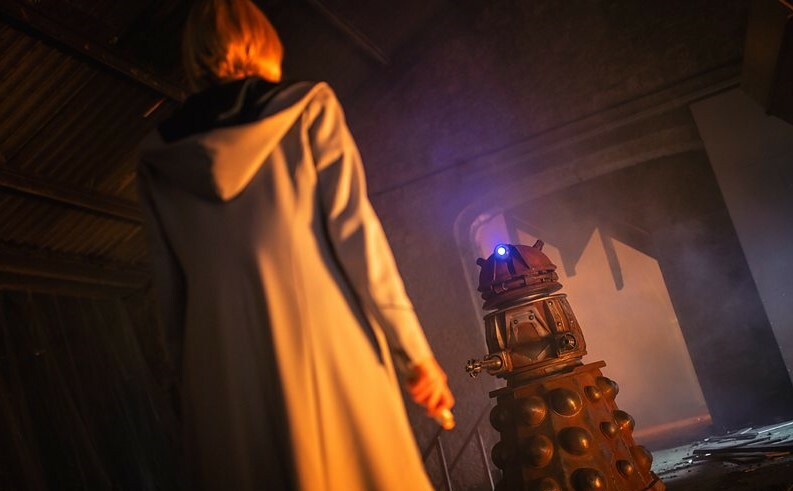 Resolution proved to be an exciting Doctor Who story bursting with action and spectacular effects, it was great to see the new Doctor and Co taking on a Dalek, and it also brought a nice sense of closure to series 11. 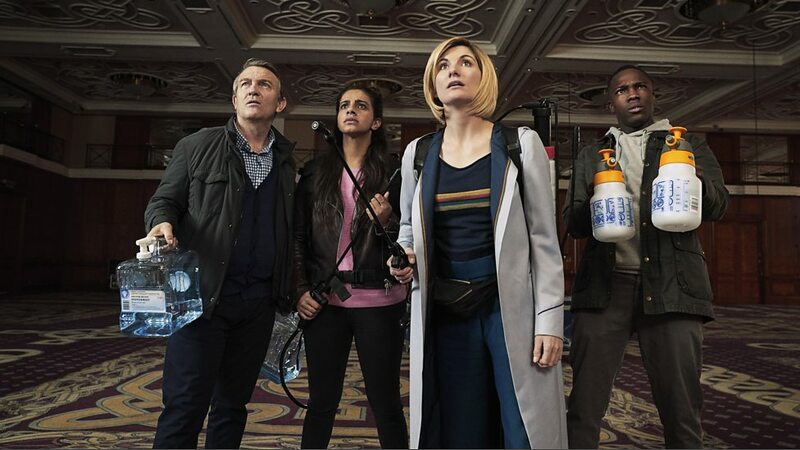 A reckoning awaits the Time Lord and her companions in The Battle of Ranskoor Av Kolos, as the The 13th Doctor (Jodie Whittaker) Graham (Bradley Walsh) , Yaz (Mandip Gill) and Ryan (Tosin Cole ) must answer nine separate distress calls on a remote battle ravaged planet with a perception altering psychic field. On this strange world were swirling mists enshroud dark secrets, a military commander has lost his memory, and who, or what, are the mysterious Ux? 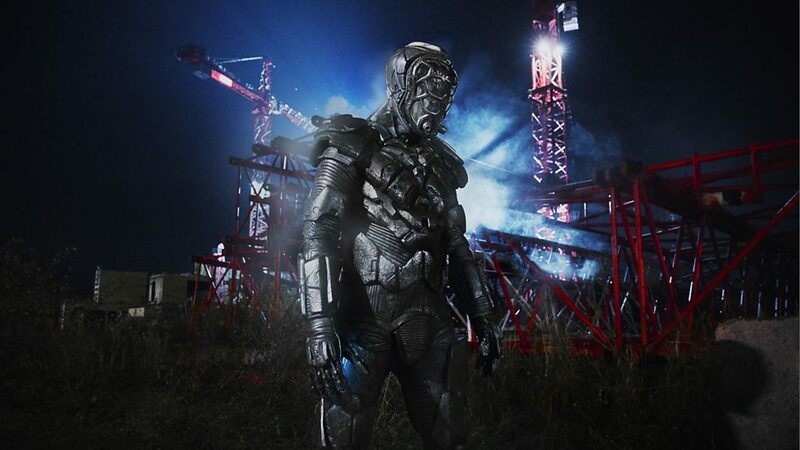 The Battle of Ranskoor Av Kolos, written by show runner Chris Chibnall and directed by Jamie Childs, is the concluding episode of series 11 (before the special episode on New Years Day), and as season finales go it offers a decidedly unusual, sombre and rather emotional note to round off this years adventures in time and space for the new Doctor and her companions. 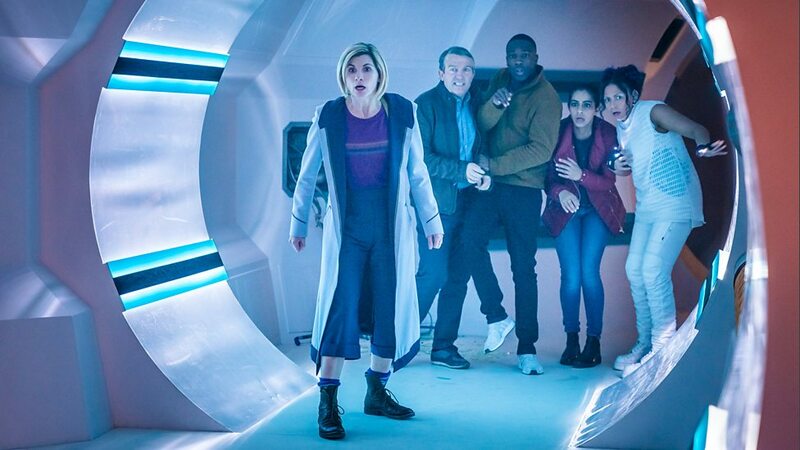 Team TARDIS are certainly put through the wringer in this episode as they face their deadliest challenge yet, Its also something of a roller coaster ride of emotions for them too. 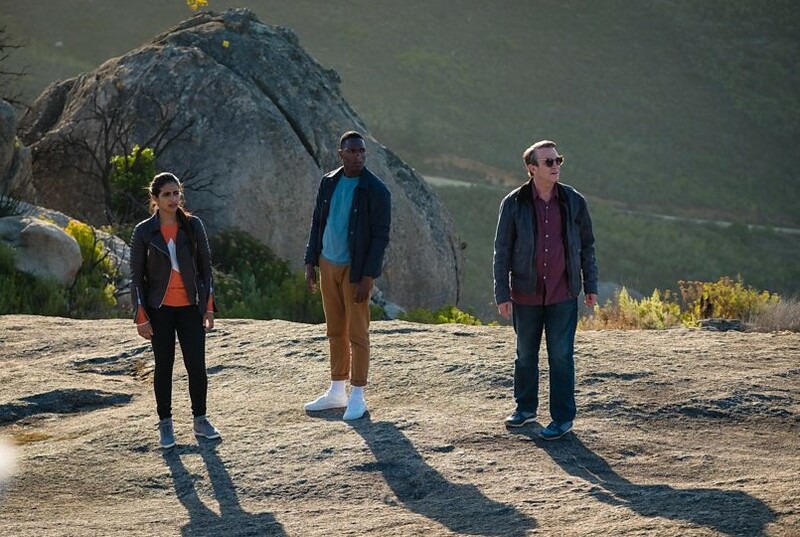 Furthermore it’s intriguing to note how Chibnall’s scrip focuses on how much the Doctor, Graham, Yaz, and Ryan’s adventures together have forged a strong bond between them. 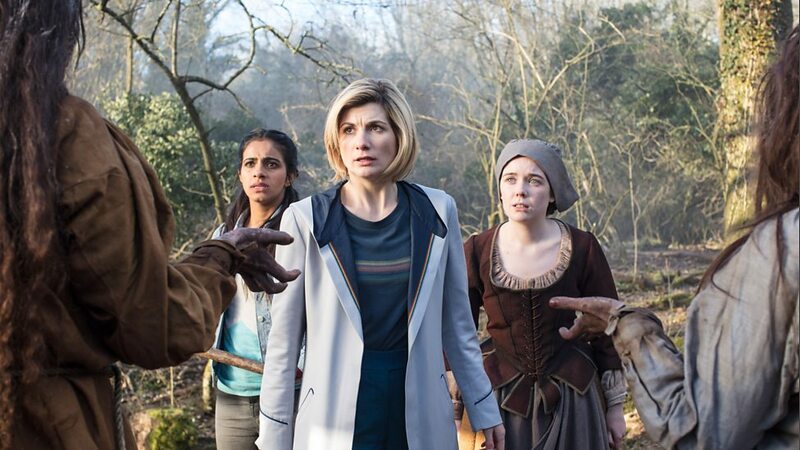 They are all very different people now than when they first met the Doctor, and The Battle of Ranskoor Av Kolos really challenges the new dynamic that has emerged between them. 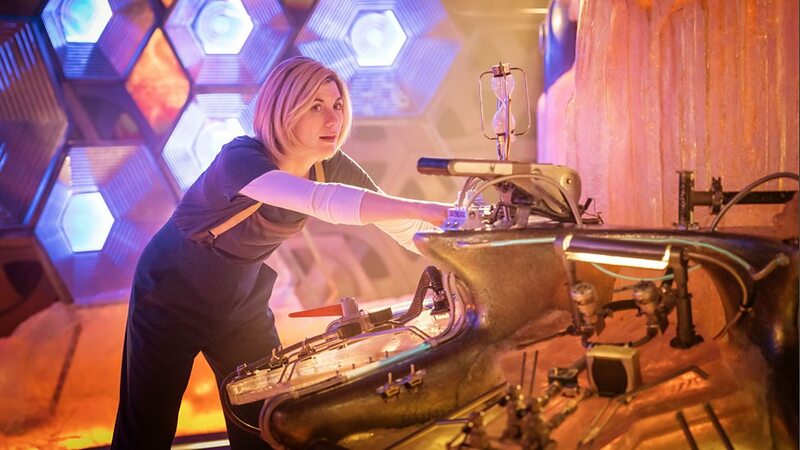 Along with the endearing genuine warmth and sense of fun which Jodie Whittaker brings to her incarnation of the Time Lord, she also gets a chance to showcase her Doctor’s powerful inner strength as well. 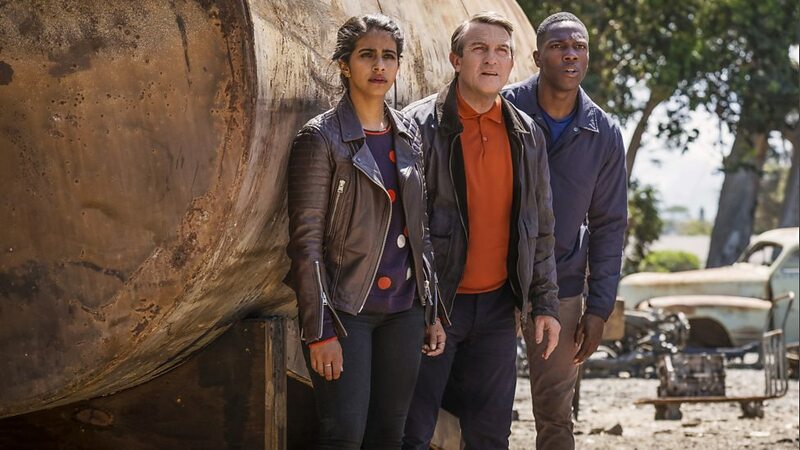 Bradley Walsh, Mandip Gill and Tosin Cole also give exceptional performances in this episode as the Time Lord’s ever dependable team of Graham, Yaz and Ryan. With each of their characters getting a chance to shine as they unite against the threat they face. 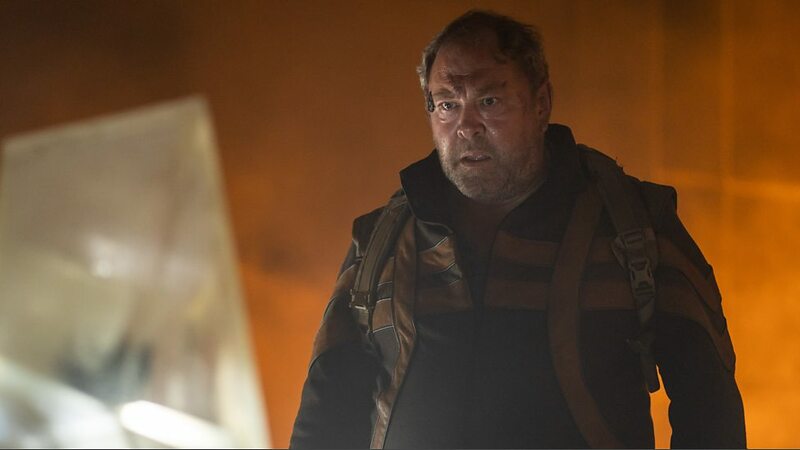 This season finale also features a strong guest cast that includes Phyllis Logan (Downton Abby) as Andlinio, Percelle Ascott from Wizards and Aliens as Delph, along with Game of Thrones actor Mark Addy as the amnesiac commander Paltraki, and Jan Le as Umsang. Following their discovery of a wrecked space-ship on the planet Ranskoor Av Kolos, the Doctor and her companions help commander Paltraki regain his memory (using the same neurobalancers that allow them to resist the psychic field), and together they set out to rescue his crew who have been imprisoned by a familiar foe… the Stenza warrior T’zim-Sha (or Tim Shaw as the Doctor calls him) who was vanquished by the Time Lord and her friends in the series premier: The Woman Who Fell to Earth. But on this world known as “disintegrator of the soul” in its native language the Doctor learns T’zim-Sha has manipulated the Ux, faith driven dimensional engineers of which only two can ever exist at any one time, into believing he is their god and the Stenza intends to use their ability to meld reality with the power of their minds to get revenge on the Doctor by destroying the planet Earth. 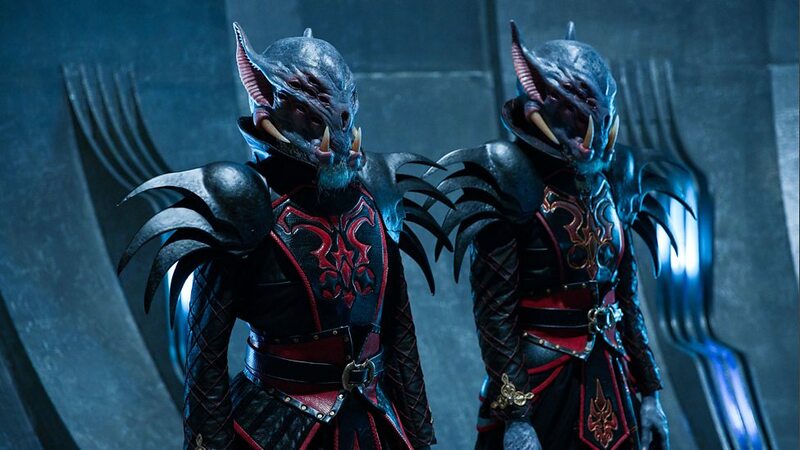 I have to say I wasn’t all that surprised to see the warrior T’zim-Sha return for the series finale. It was a tad disappointing to see this toothy alien menace make a comeback, as I don’t think he was that great a monster or threat in the first place, and his scheme to destroy Earth in planet The Battle of Ranskoor Av Kolos does echo concepts from The Pirate Planet (1978) a bit too much for my liking. That said The Battle Ranskoor Av Kolos did turn out to be a better finale than I was expecting in the end. I especially liked the conflict between the Doctor and Graham that this episode served up. 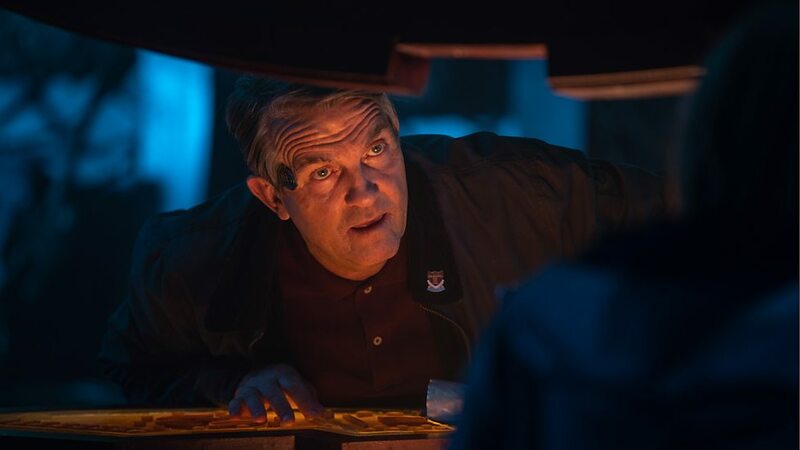 Bradley Walsh once again gave an amazing performance, with his character remaining true to himself, his late wife Grace, and his new friends as good old Graham ends up being the better man for the choices he ultimately makes in the final battle with the Stenza warrior T’zim-Sha. Chris Chibnall’s script certainly delivered some strong character moments once again for the Doctor and her companions, the plot however did feel a little bit like Sci-Fi by numbers at times, so not quite the epic finale we are used to for Doctor Who really, but the stylish direction by Jamie Childs just about managed to hold everything together – even if resolution bamboozled you with techno-babble and threw all logic out the window to get the job done. 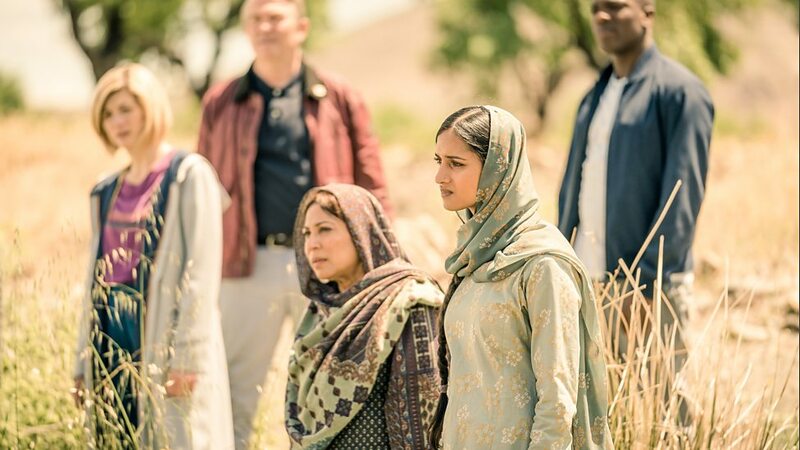 So, now that Doctor Who series 11 has concluded and The Battle of Ranskoor Av Kolos proved to be a relatively good – if somewhat unremarkable – season finale, I guess its time to look back at this series and ask ourselves… was it any good? 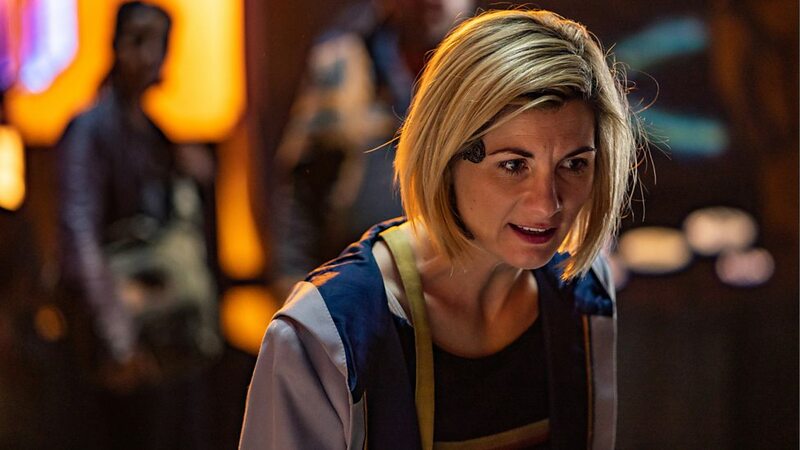 One thing’s for sure is that Jodie Whittaker has been a revelation as the 13th Doctor, her performance has been exceptionally good, and she’s no doubt proved a lot of the naysayers wrong who’d dismissed the very notion of having a female Doctor outright. 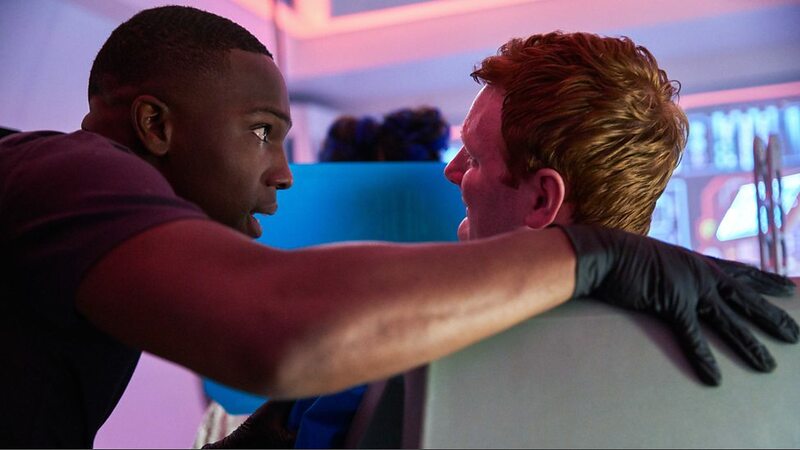 Mandip Gill and Tosin Cole have also been good as Yaz and Ryan, although I’d have liked to have seen Yaz get a bit more character development. Ryan’s growing confidence as he coped with his Dispraxia on his adventures with the Doctor and the others was also handled well throughout the series. For me though, it was Bradley Walsh as Graham who really gave the standout performance of this series. 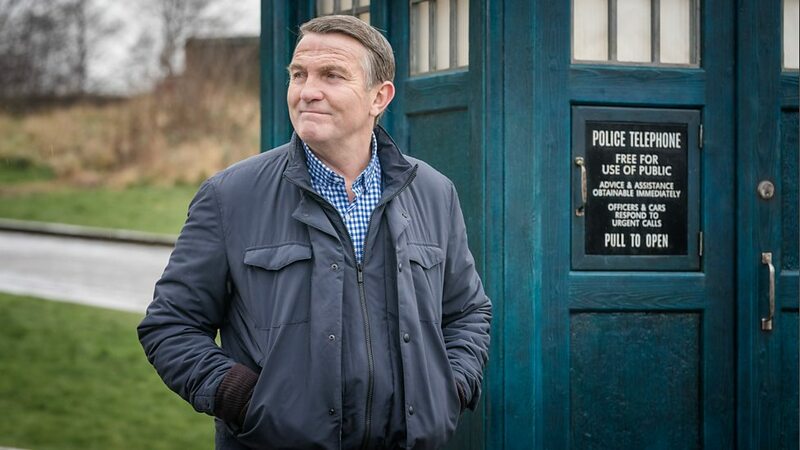 His portrayal of Graham as he coped with his grief over the death of his wife, Grace, along with joining the TARDIS crew and his subsequent adventures in time and space, and being a granddad to Ryan were all brilliantly played by Bradley Walsh. Chris Chibnall has been ok as show runner, but some of the scripts for this season have at times been a bit hit and miss. 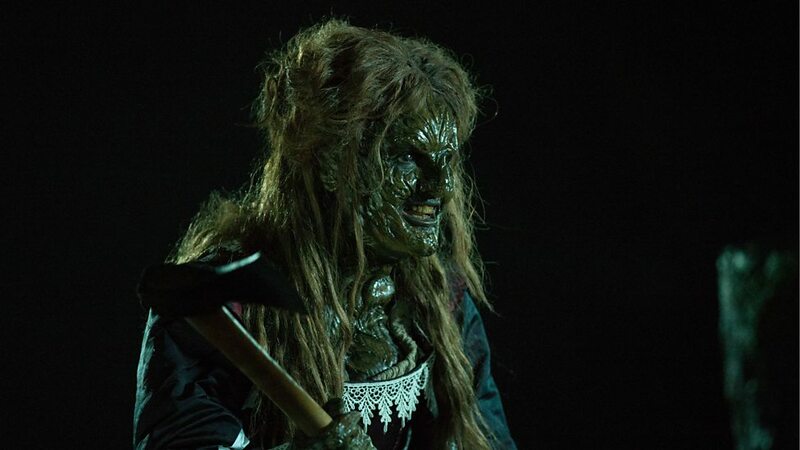 For me, this season’s highlights have been Rosa, The Demons of Punjab, The Witchfinders and It Takes You Away. My least favourite story was Kerblam! I think because I had to go into hospital for a couple of weeks mid-way through this series, my interest in this season obviously waned a bit, but despite this no matter how well I thought the regular cast worked together and how different each episode was in tone and style I still can’t shake the feeling that series 11 could have been a lot better than it ultimately was. The longer episode length did allow a bit more room for plot development, but I really missed not having the two-part stories this year, and the lack of any obvious season-wide story arc coupled with series 11 only being comprised of ten episodes also made it feel like this new season was done and dusted just as it began to hit its stride. I really liked the new theme and title sequence though, although I think it just needs either the Doctor’s face or the TARDIS added to give it that added Doctor Who magic and the new crystalline TARDIS interior was also visually striking and refreshingly different from anything we’ve seen before. 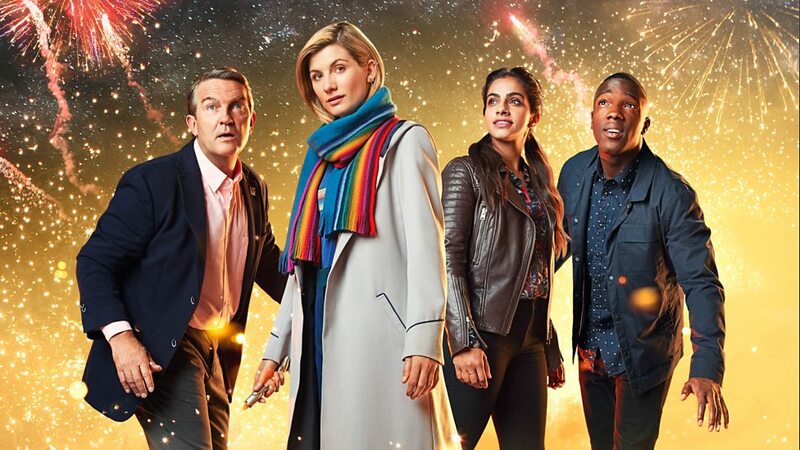 I guess in hindsight Doctor Who series 11 will be probably be regarded as innovative, game changing even, despite being a little too PC and preachy at times, but overall I think series 11 held together quite well. 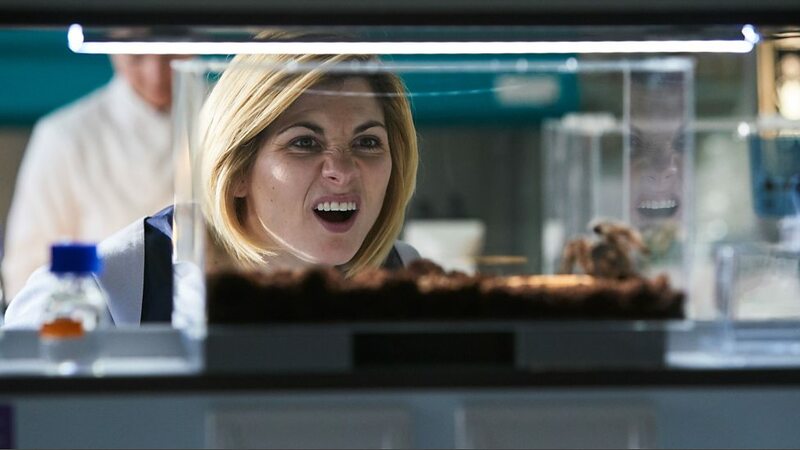 It’s just a shame that the scripts for this season weren’t always as consistently good as they could, and really should have been for the beginning of a new era like this – especially considering the strong performances given by Jodie Whittaker and the rest of the regular cast. 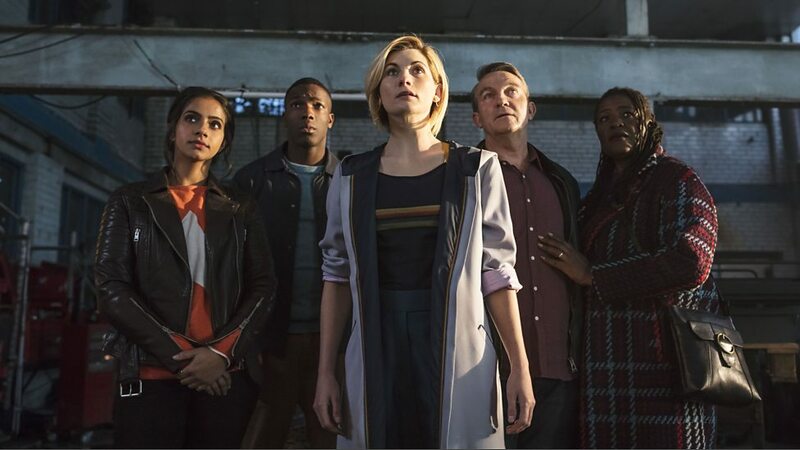 Rosa, the third episode of series 11, sees the Doctor (Jodie Whittaker) and her companions Graham (Bradley Walsh), Yaz (Mandip Gill) and Ryan (Tosin Cole ) take their first sojourn into the past when the TARDIS arrives in Montgomery, Alabama, in 1955 where they encounter someone attempting to rewrite the history of the black civil rights movement. 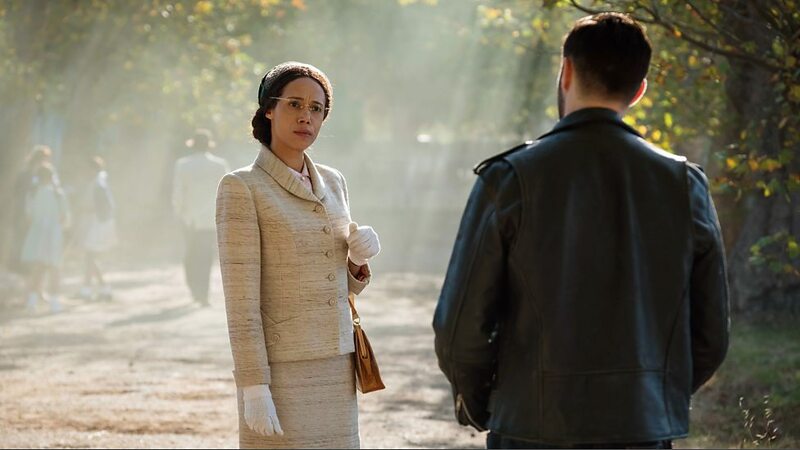 The seamstress, Rosa Parks, superbly played in this episode by Vinette Robinson, became a key figure in the civil rights moment on the day she refused to give up her seat on a buss for a white person. It set in motion a chain of events whereby the actions of this one woman would become a major turning point in history and result in brining far reaching change for the good. 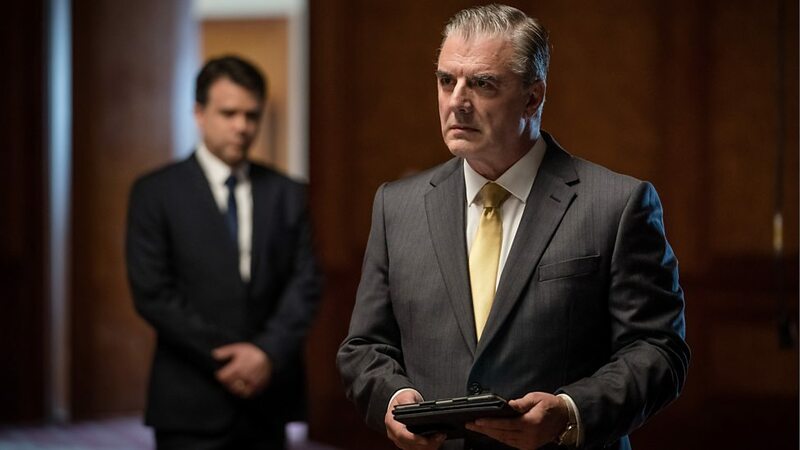 There are strong performances all round in this episode, Bradley Walsh, Mandip Gill and Tosin Cole all brining even grater range to their characters over the course of this story. Jodie Whittaker has an empowering presence here as the Doctor too. You see, someone wants to prevent this monumental moment from happening, someone is determined to alter time to ensure that everything bad stays just the way it, and there’s no what in a million years the Doctor is ever going to let that happen! That someone is Krasko (Joshua Bowman) a recently paroled convict from Stormcage who has used a vortex manipulator and a temporal weapon to travel back in time and alter history by preventing Rosa Parks from having to give up her seat on the bus. Fortunately Krasko’s actions in this time have left a trail of artron energy, which enables the time travellers to track him to his lair in the bus works. Krasko’s scheme is a significant threat, but the Doctor soon discovers the ex-con has a mental restrictor in his mind preventing him from actually harming anyone – at least directly. 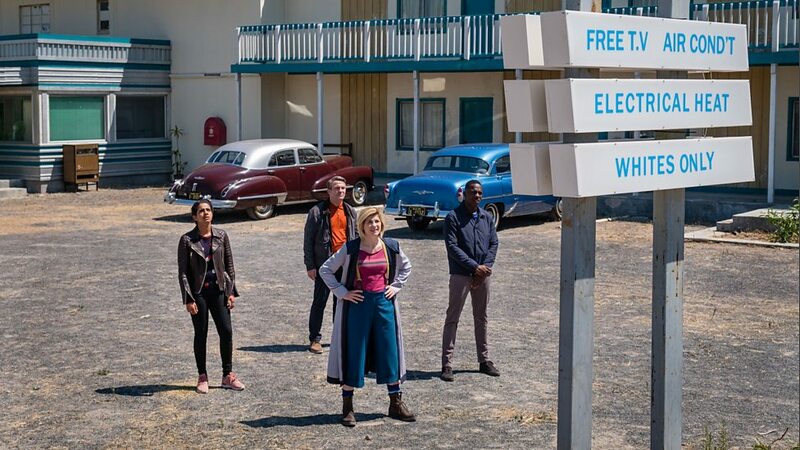 So it’s up to the Doctor and her friends to become involved, each playing their own part in events to thwart Krasko’s plan and that ensure history and Rosa’s pivotal moment in time unfolds as it should. 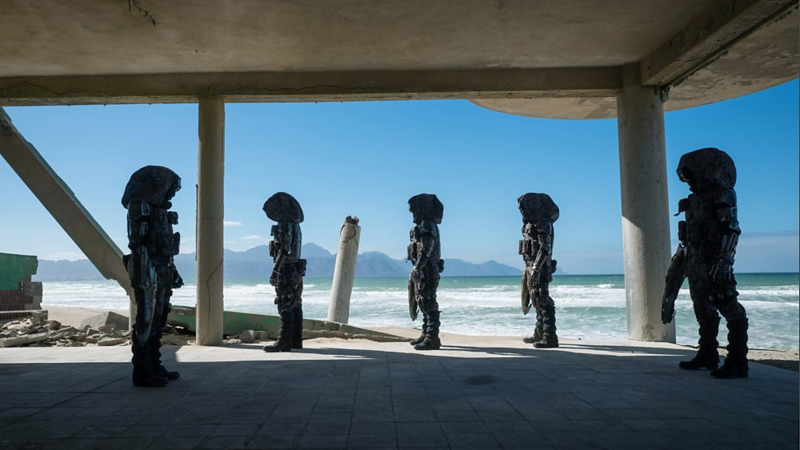 Like the Ghost Monument, Rosa also had location filming in South Africa, and this time Mark Tonderal brings a very different approach to the look and tone of the episode. The challenge of shooting in South Africa and recreating the period setting of the USA 1955 is brilliantly handled. 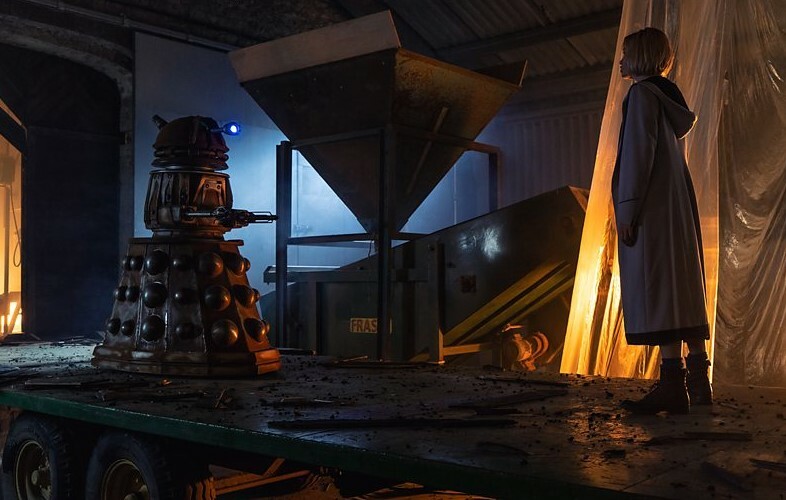 From the clothes, setting, and vehicles the production and design clearly pulled out all the stops to give the episode a distinct quality all its own for series 11’s first voyage into the past. 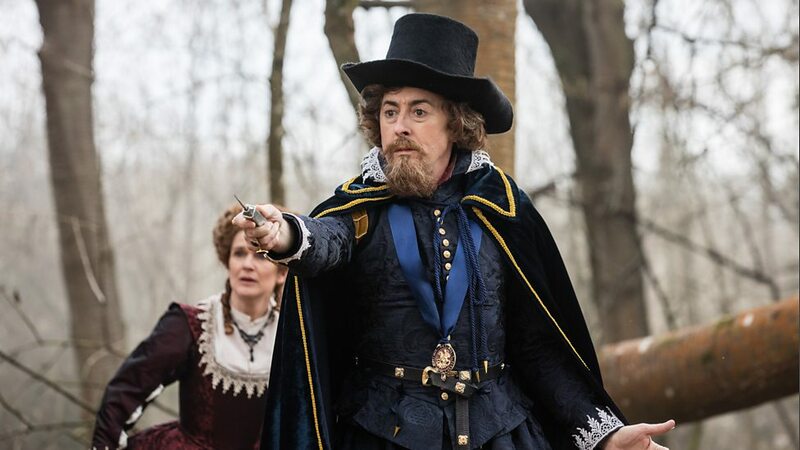 Featuring great character moments for the ensemble cast along with the assured direction of Mark Tonderal, Rosa marks a dramatic change of pace after the quirky fun of the first two episodes of series 11, and indeed historical stories in Doctor Who as a whole. 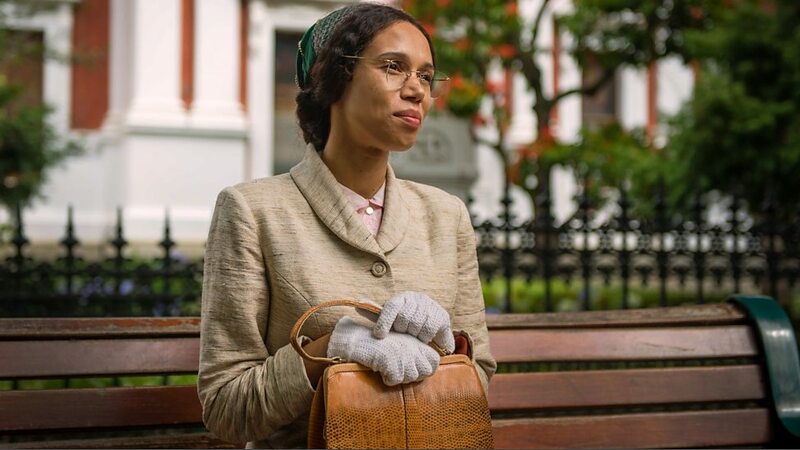 Co writers Malorie Blackman and Chris Chibnall have taken the task of brining issues of racism, segregation, and the Montgomery buss boycott together in the format of Doctor Who incredibly well. 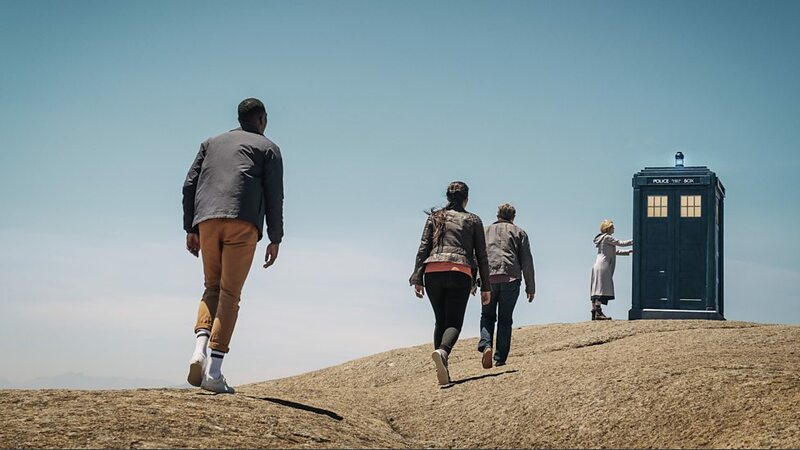 Rosa builds towards a resounding finale as the closing moments draw near, and the TARDIS crew realize that by thwarting Krasko’s plot they themselves have inadvertently become integral to events on the bus as they witness Rosa Parks getting arrested for violating the segregation laws. 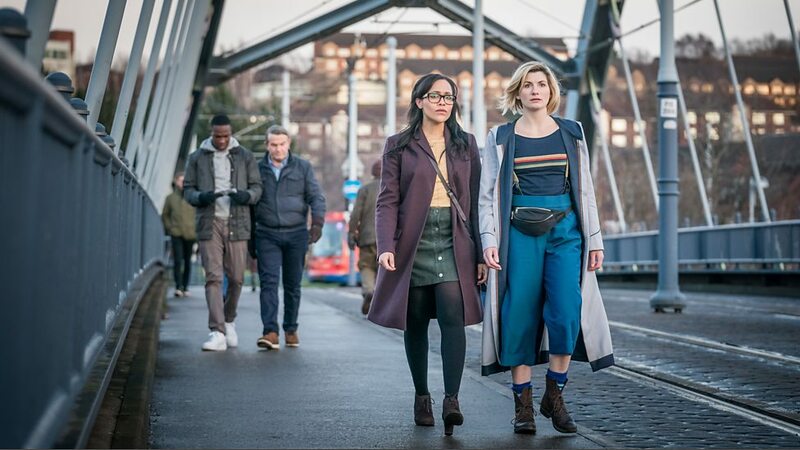 With the rousing soundtrack at the end called Rise Up by singer-songwriter Andrea Day, together with the coda where the Doctor takes her companions in the TARDIS to show them how much Rosa Parks actions would influence the future, and become an icon for freedom. Rosa is an emotional and challenging episode that stays with you long after the credits have rolled. Obviously, the subject matter makes for a powerfully themed episode, but even though Rosa doesn’t have quite the same Doctor Who sci-fi sparkle as previous historically based New Who episodes it’s a resoundingly better story for it. 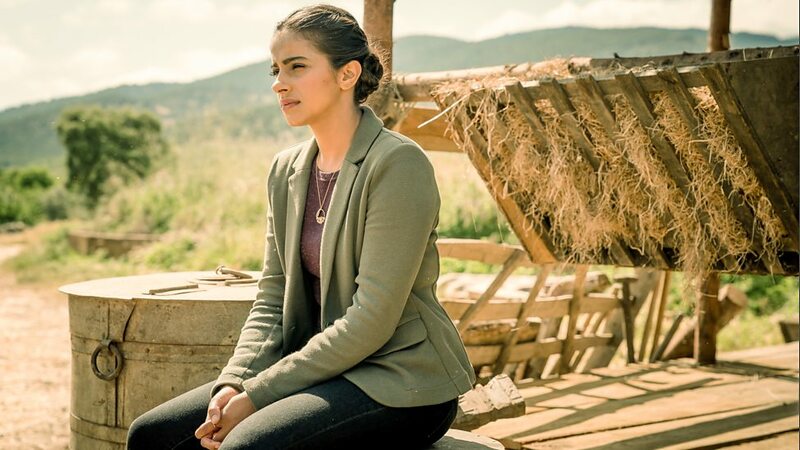 Unflinching, heartrending, and empowering, Rosa is a magnificent addition to this new series, and I for one cant think of any other episode of Doctor Who that has moved me quite as much as this one. 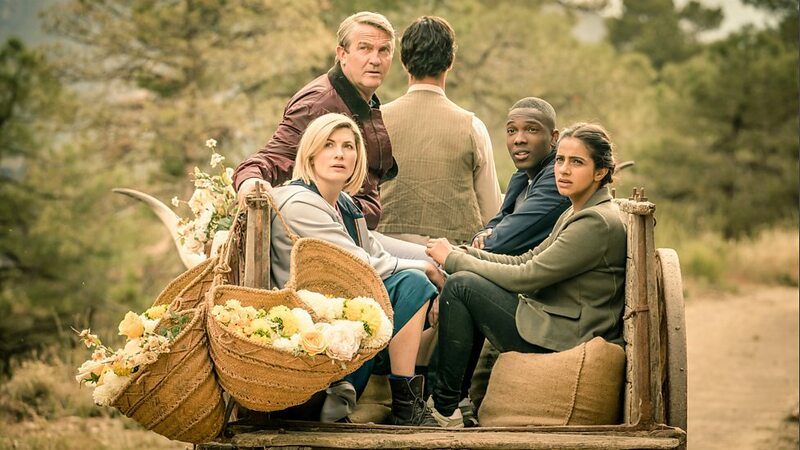 Partly filmed in South Africa, the second episode of series 11 certainly gives an added sense of awe and spectacle to the Doctor’s companion’s first trip to another plant. The BAFTA winning DNEG team responsible for this new season visual effects also continue to work their magic, and The Ghost Monument is an absolutely stunning looking episode as a result. 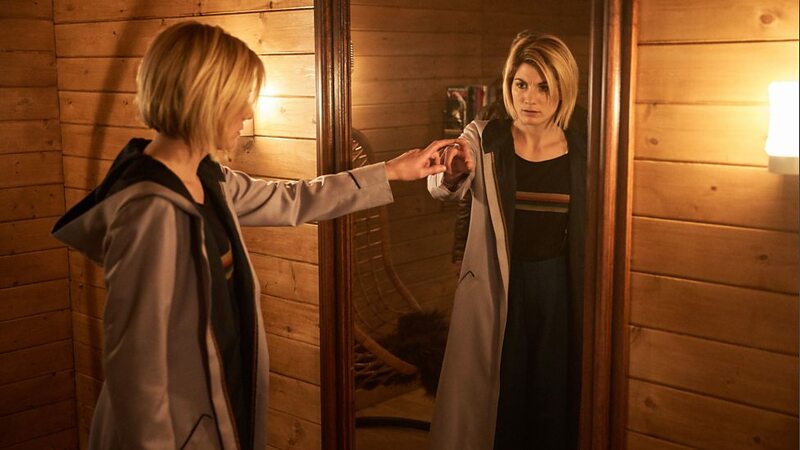 Jodie Whittaker continues to excel in her role as the new 13th Doctor, brimming with fun and sound advice, her incarnations traits quickly make you warm to her endearing characterization of the Time Lord. After being marooned in space at the end of the new series premier, the Doctor and her companions are soon scooped from the void by two pilots Angstorm (Susan Lynch) and Epzo (Shaun Dooley) in their old rickety spaceships taking part in an intergalactic race, but after crash-landing on the barren planet with three suns the stranded group encounter the holographic potentate Llin (Art Malik) and the Doctor is shocked to discover that the objective of the race – reaching the mythical Ghost Monument – is actually the TARDIS which has somehow become trapped out of phase on this worlds surface because of the damage it suffered. Their quest to reach the Ghost Monument involves crossing a sea contaminated by deadly microbes, exploring some ancient ruins while stalked by sniper robots, facing the frightening cloth-like Remnants, and the eventual discover that this entire planet was used by the Stenza to create weapons of mass destruction. 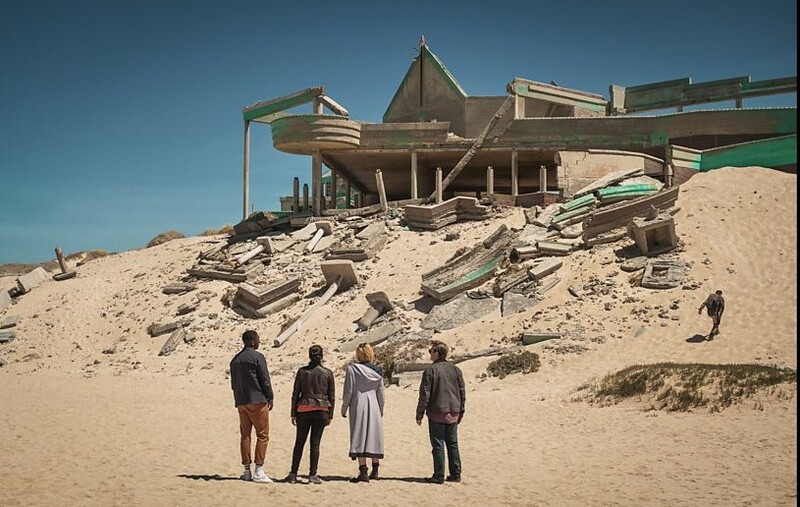 There is a snappy pace to Chris Chibnal’s scrip for The Ghost Monument that really steps things up a gear for the Doctor and her companions. 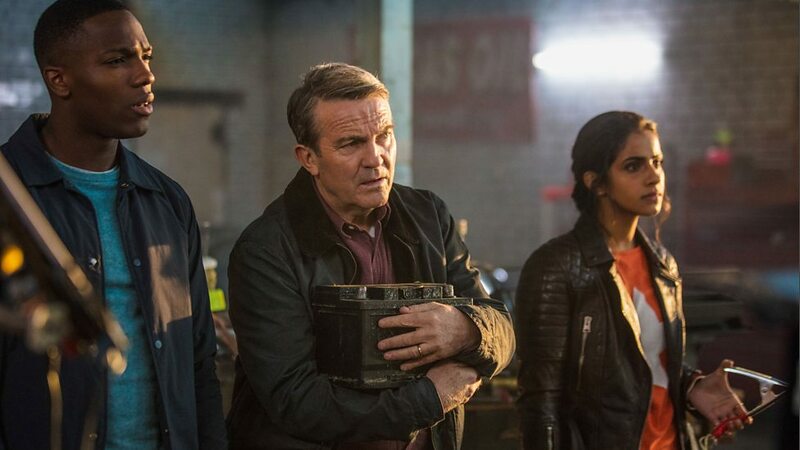 Bradley Walsh, Mandip Gill and Tosin Cole are all excellent in their roles as Graham, Yaz and Ryan respectively, and its great to see their characters gradually adapting to the Doctor’s madcap world over the course of this adventure with only her promise to keep them alive and get them home to really bind them together – relying on their wits and getting to know each other better as a result along the way. 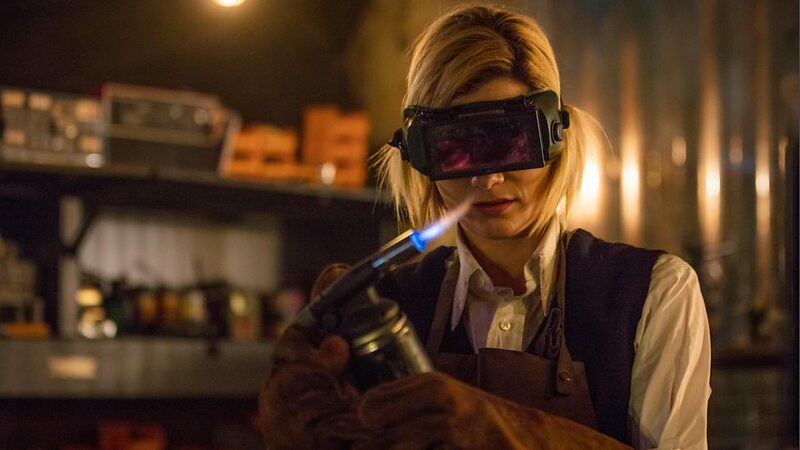 The subtleties in Jodie Whittaker’s performance as the quirkily fun, clever and practical new incarnation Time Lord also really begins to shine though as both she and her companions start to forge strong bonds, with subsequent events illustrating just how great they are as a team when they get caught up in the episodes powerful allegorical themes of disaster, mass-murder, and ethnic cleansing. 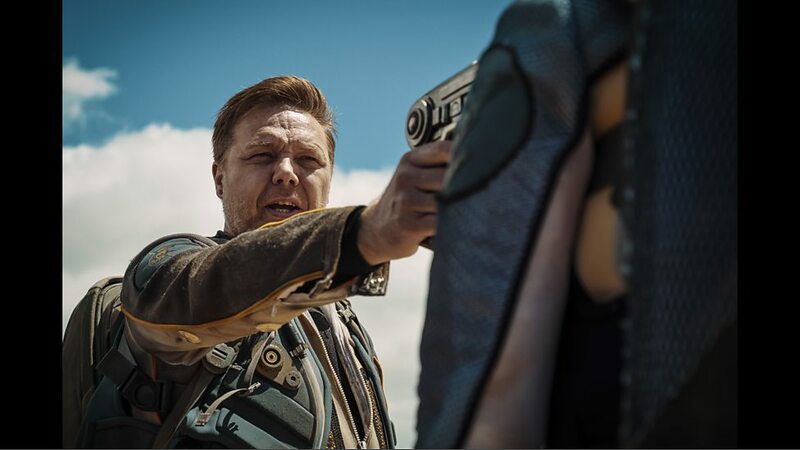 The Ghost Monument also gives us slightly more insight to the Stenza from the first episode, especially how they used this planet to make weapons, the sniper bots provide some exciting action, and the snaking cloth-like Remnants (chillingly voiced by Ian Gelder) which emerge at night are also quite unsettling as they use their victims fears against them. The Ghost Monument marks the debut of series 11’s fantastic new title sequence as well! Featuring a stylish amalgamation of classic and new elements the gorgeously swirly new titles complements the fresh, vibrant tone of the new series perfectly, and together with terrific new opening theme by the series’ new composer Segun Akinola this episode feels extra special as a result. But that not all. After reaching the Ghost Monument, Angstorm and Epzo claim joint victory, and teleport off the planet, apparently leaving the Doctor and her companions stranded. 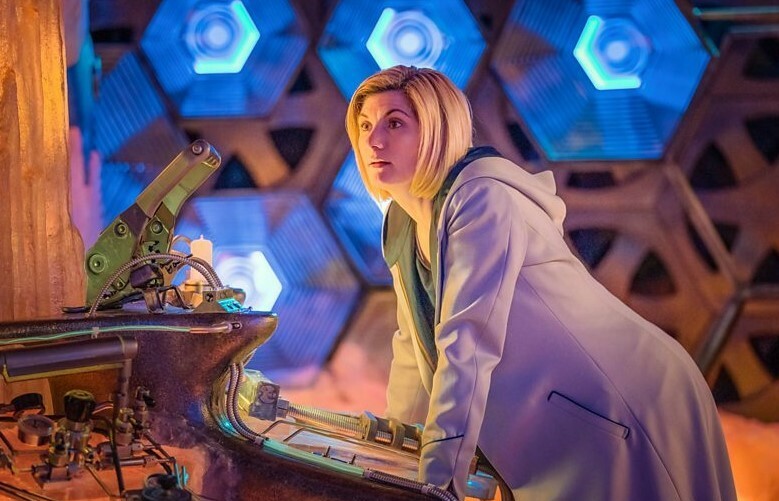 It is here, in a particularly emotional scene for Jodie Whittaker, that the Doctor coaxes the TARDIS to materialise properly at last and we get our first look inside! While the exterior is a lovely throwback to the early Tom Baker years; I feel the interior may divide opinion somewhat, but I personally thought the new TARDIS interior was spectacular! It looks a bit like a crystalline, steam punk, version of the 9th and 10th Doctor’s TARDIS interiors, the console is covered in chunky levers, there‘s a little model TARDIS, one section of the console even dispenses custard cream biscuits, and seeing the Doctor and her companions finally enter the elusive time machine for the first time is a defining moment that really makes the 13th Doctor’s new era feel complete at last. 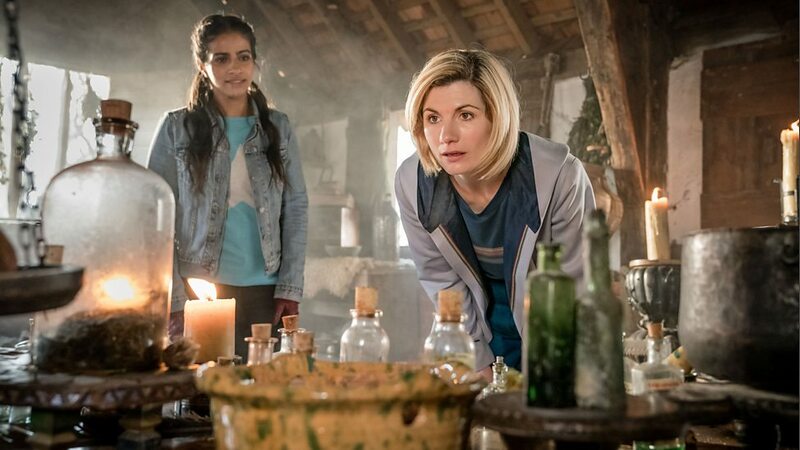 The Ghost Monument is a continuation of the set-up for the new series, new Doctor and new characters that began with The Woman Who Fell To Earth. 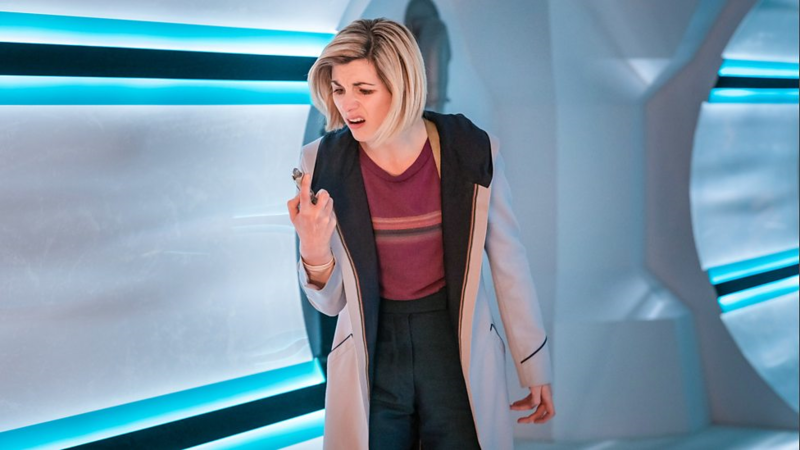 Sure, the plot is a bit frenzied at times, but my only real grip was how much the story went so OTT with the sonic screwdriver – yes it’s that old pitfall of the sonic fixing / saving every situation that New Who so often falls into. However, with the episodes dash of Venusian Akido and its tantalizing reference to the “Timeless Child” I’m willing to let them off the overuse of the sonic a bit. Along with Chris Chibnal’s strong script and Mark Tonderai’s superb direction, The Ghost Monument delivers blockbusting spectacle and action in equal measure. 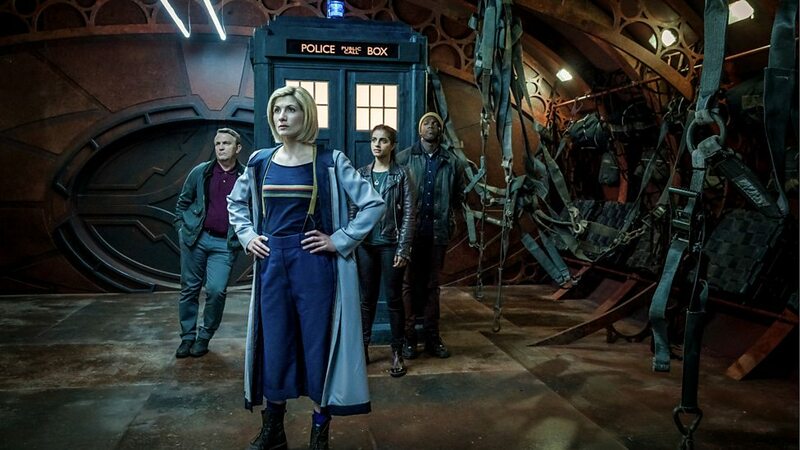 Jodie Whittaker and the new ensemble cast are settling into their roles nicely, all the familiar elements are now in place, and with their inaugural trip first voyage to another planet under their belt its now time for the Doctor and her companions adventurers in time and space to begin in earnest! 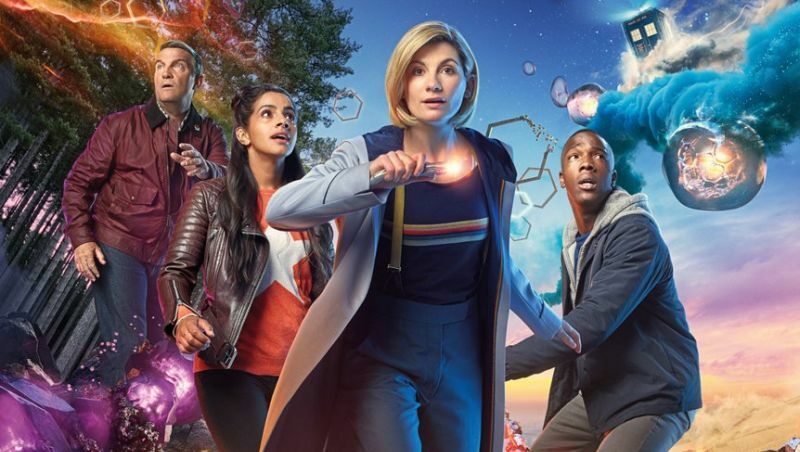 Watch the trailer for the third episode of series 11, Rosa. Here’s the new Doctor Who title sequence and new theme! Check out the New TARDIS | Doctor Who: Series 11! 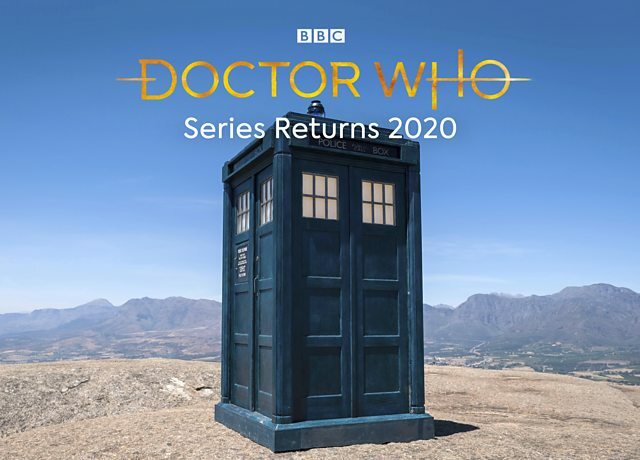 Finally, after the long months of waiting, speculation, and expectation Doctor Who is back! 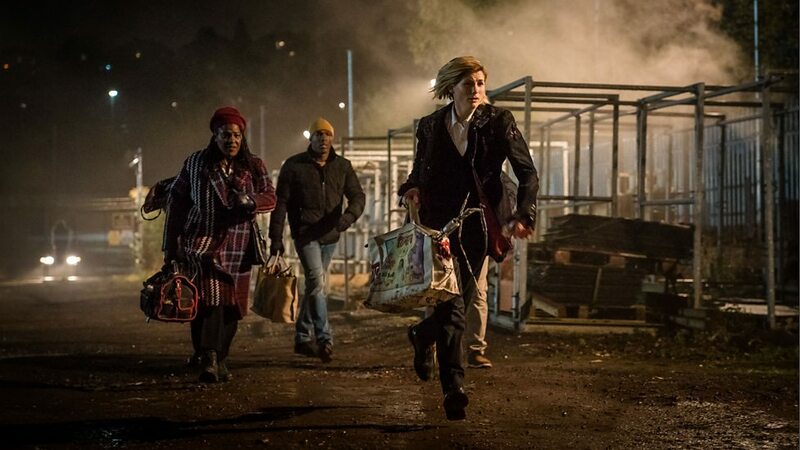 Series 11 kicks off with the hour-long premier episode The Woman Who Fell To Earth, written by Chris Chibnal, directed by Jamie Childs, and staring Jodie Whittaker as the 13th Doctor, who, along with her new friends Graham (Bradley Walsh), Yaz (Mandip Gill) and Ryan (Tosin Cole ) team up to face a ruthless alien threat in Sheffield. Last time we saw her the post regenerative Doctor was sent tumbling from the TARDIS in the closing moments of Twice Upon a Time (2017). 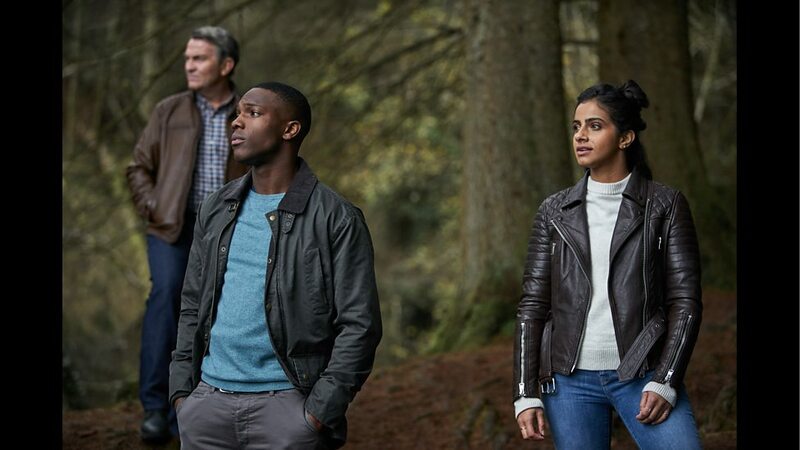 Now in the present day Ryan Sinclair, Yasmin Khan and Graham O’Brien lives are about to change forever when a mysterious woman suddenly falls from the night sky. Can they really believe this bubbly, unpredictable stranger? She might not be able to remember her own name, but is seems she’s the only person that could be able to help solve the mysterious events unfolding around the city? 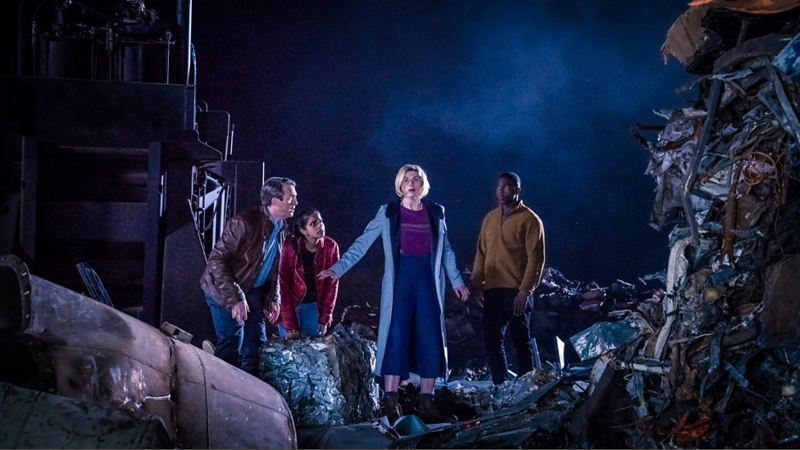 Settling into its brand new timeslot on Sunday’s with ease The Woman Who Fell To Earth begins series 11 of Doctor Who in fine style as Jodie Whittaker’s newly regenerated Doctor crashes through the roof of a stranded train to begin her adventures. 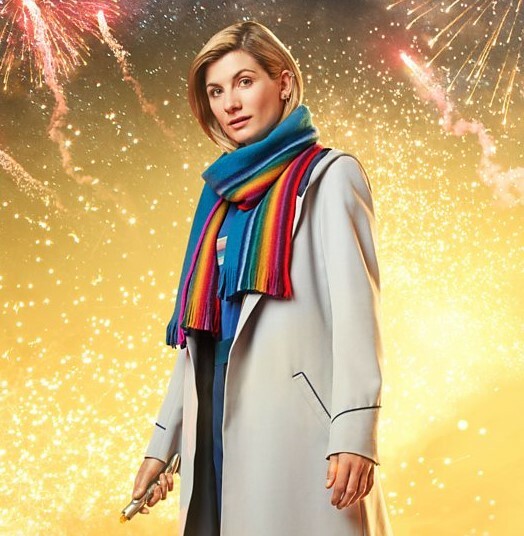 She might not have the TARDIS or a even a sonic screwdriver to hand, but once the wry nods to the Time Lords new gender are out the way the 13th Doctor’s fun, and quirky persona quickly shines though as she embarks on the first of this new seasons self-contained adventures. When people need help, I never refuse. .Jodie Whittaker’s endearing performance instantly harnesses the quintessential Doctorishness necessary to make you wholeheartedly embrace this new incarnation of our favourite Time Lord. Jodie brings a breathless sense of heroic energy to the role that makes her Doctor feel exciting, dynamic, and fun to be around. Chris Chibnal’s clever scrip weaves all the classic tropes into the narrative for the new Doctor, everything from meeting her new friends after confronting the tentacle strewn alien probe on the train, to making a new sonic screwdriver from scratch, and the brilliant scene where she chooses her new costume all ensure that Jodie Whittaker’s 13th Doctor instantly becomes a version of the Time Lord that fans old and new will quickly take to their hearts. So, what of the Doctor’s new friends? 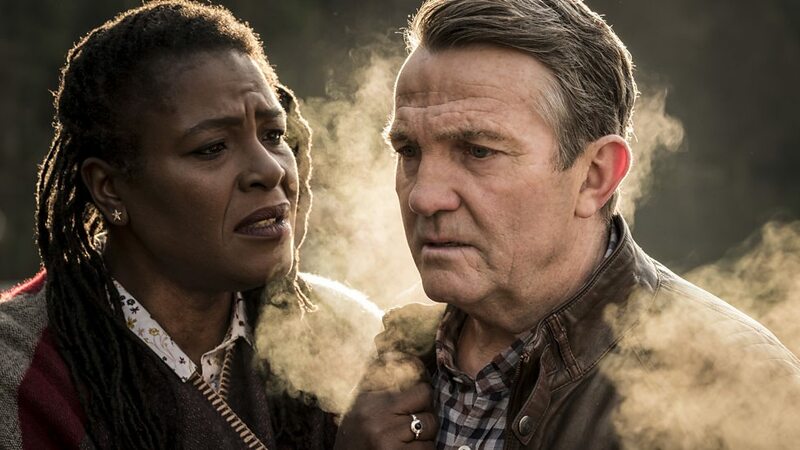 Bradley Walsh is great as Graham, brining both a sense of fun and emotional depth to his role. 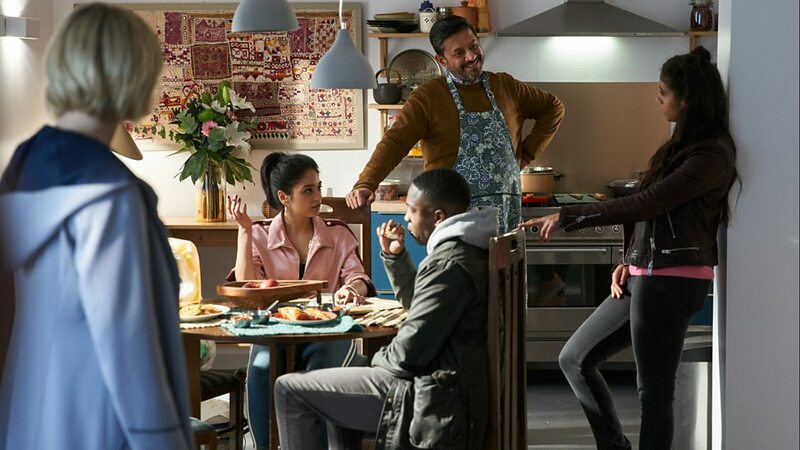 Mandip Gill is also excellent as the resourceful Police Officer in training Yaz, as is Tosin Cole as Ryan, a warehouse worker and former school friend of Yaz’s with Dyspraxia who wants to become an engineer. 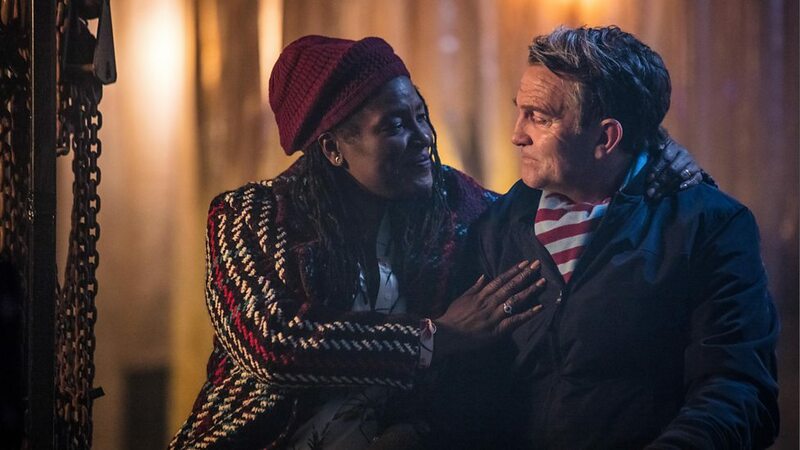 Walsh’s character Graham is also married to Ryan’s gran Grace (Sharon D Clarke), making him Ryan’s step-granddad. Right from the outset Ryan’s moving opening address on his YouTube channel, along with his determination to master riding a bike with the help of Grace and Graham, movingly foreshadows the episodes underlying themes and events as the young man stumbles upon an alien travel pod and inadvertently activates it. There’s a really fun dynamic between the Doctor’s new companions as well. The banter between them and the Doctor feels very natural and warm, the characters are also instantly relatable, grounded in reality, and even at this early stage its clear they have the makings of a great TARDIS team. 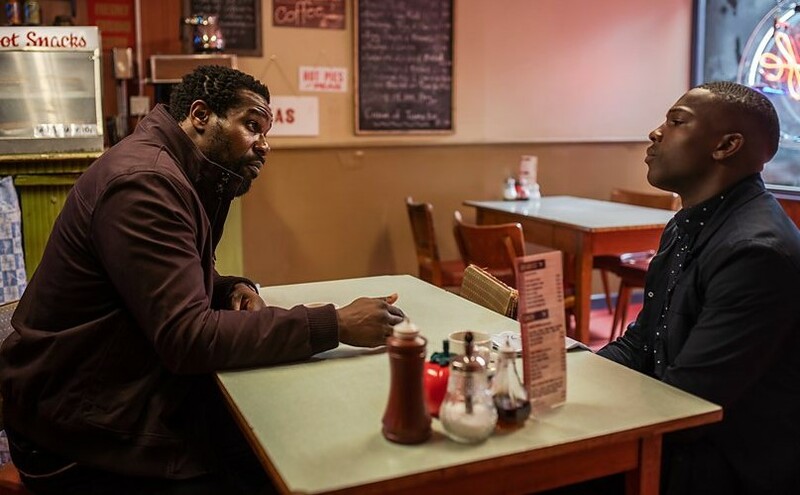 While this episode does begin a little differently than expected – we’ll have to wait until the next episode to see the new title sequence and the arrangement of the brilliant new nostalgically pitched opening theme by the series’ new composer Segun Akinola finally brought together as one – once Jodie’s Doctor has had a little nap and a sprinkle of regeneration energy mid-way through the episode its time for the Time Lord to get on the case of the alien mystery in Sheffield. 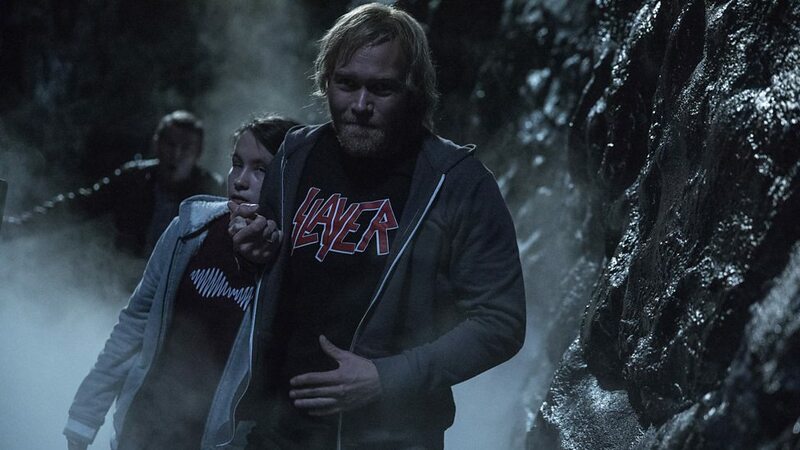 With Jamie Childs glossy direction Chris Chibnal’s script positively fizzes with vibrant action, with an eerie alien pod set to open at any moment, DNA bombs primed to explode, and a fearsome hunter lurking in the dark. There are slight references to the series’ past, but nothing to overload the script as has sometimes been the case in previous seasons, and I feel that this premier episode is all the more refreshing for it. 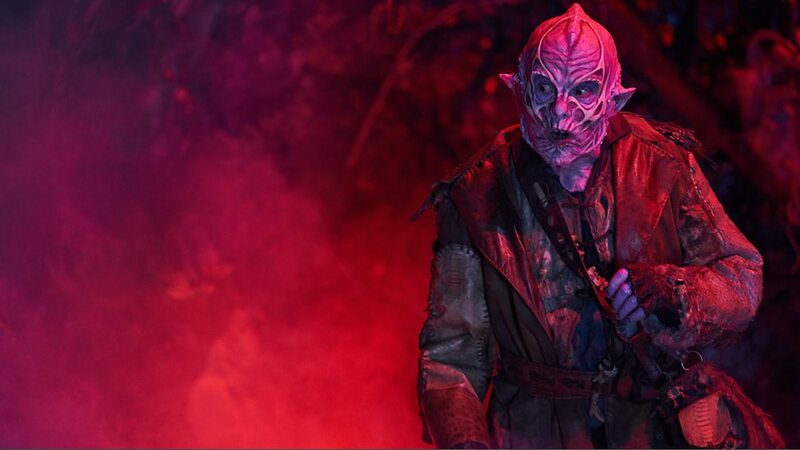 Of course you can’t have Doctor Who without scares, weird goings on, and… monsters! 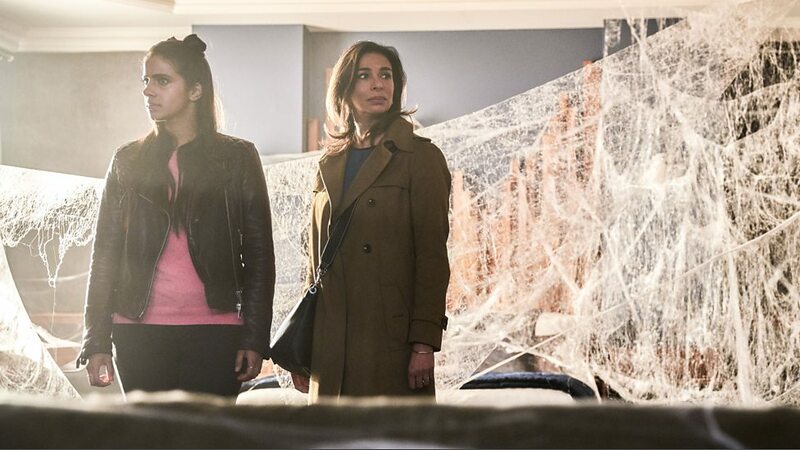 The 13th Doctor’s first adventure certainly has a couple of edge of the seat moments, especially with a bizarre probe and a super scary beast stalking the streets, but the reasons why this dual extraterrestrial menace is happening in Sheffield yields even more intriguing surprises for the Doctor and her friends. The special effects are really impressive as well. Its not long before the Doctor realises the probe is really weaponized bio-tech, gathering coils, used to select victims for a hunt – something which it has evidently been responsible for on Earth before – while the pod is actually a transport device for a second alien, an armor suited Stenza warrior who proves to be a rather frozen, toothy threat in more ways than one! I’m just a traveller. Sometime I see things need fixing, I do what I can. As the final showdown unfolds on the cranes at the construction site between the Doctor and the Stenza warrior Tzim-Sha hunting the hapless crane operator (who was also on the train with Grace and Graham when the Gathering Coils first arrived and he unwittingly became the target of the aliens hunt), the Doctor finally remembers her name as she steps up to the plate to confront the alien warrior and dispatches it with ease. It’s a brilliantly staged scene and the defining moment where Jodie Whittaker unequivocally becomes the Doctor without a shadow of a doubt. With its showcasing of the programmes first female lead in the role of the Doctor, a brand new transmission day, and biggest regular cast since the 80’s (although I don’t see where that’s really that big a deal as there’s often been more than one person travelling with the Doctor since the series returned in 2005) Doctor Who returns feeling fresh and reinvigorated. 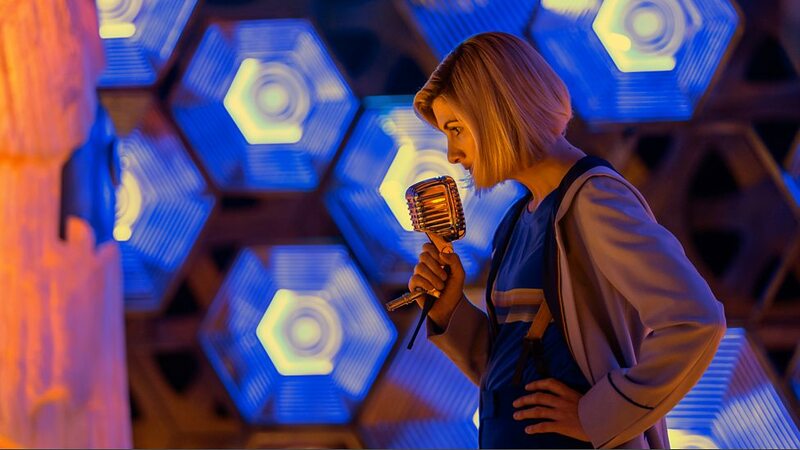 Sure, I had some minor quibbles, I felt the incidental music got a little bit intrusive at times, sadly we didn’t get to see the TARDIS yet either, and while I don’t regard The Woman Who Fell To Earth as one of the strongest first stories for a new Doctor it was certainly one of the most contemporary and revitalising opening episodes for the rebooted series that I’ve enjoyed since 2005’s Rose. 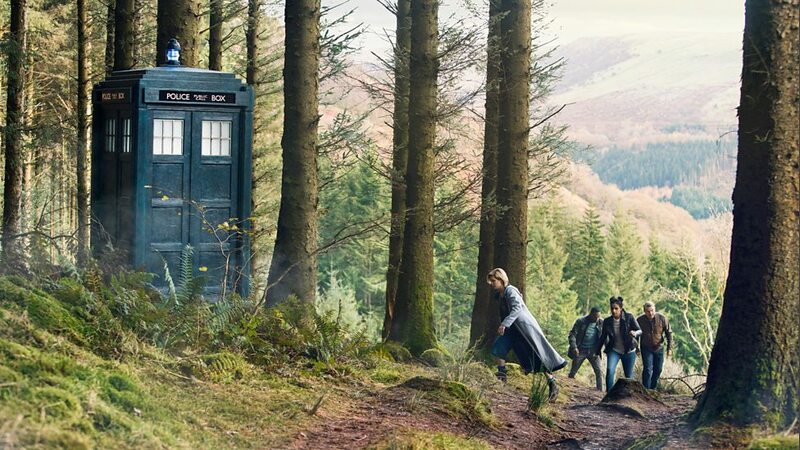 The simplicity and fun sense of adventure in The Woman Who Fell To Earth reinforces show runner Chris Chibnal’s back to basics approach in every conceivable way, and quite possibly makes it one of the most easily accessible episode of Doctor Who ever. You really don’t need to know anything about Doctor Who to enjoy this episode. It’s the perfect jumping on point for new viewers, and there’s plenty here for long term fans to enjoy as well. Although circumstances and thrilling adventure brought the Doctor and her new friends together, there’s also tragedy for them to contend with in the aftermath of the events in this episode. This really gave the ensemble cast their chance to shine, with powerful emotional beats that resonate long after the credits have rolled, by which time the Doctor, with the help of her friends, has programmed the remains of the Stenza transport pod to lock onto the energy trail of the TARDIS and transport her to the planet where the time machine is supposed to be. 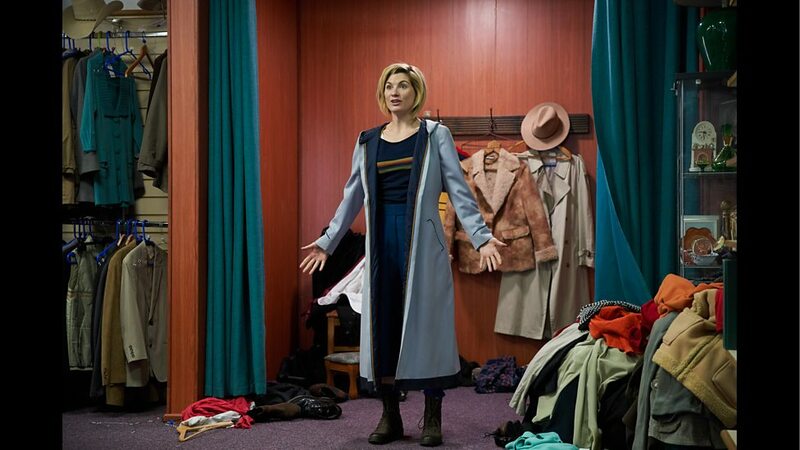 However, as the Doctor says her goodbyes she accidentally ends up transporting them all away – leaving them marooned and floating in deep space! Right, this is going to be fun! In short, Jodie Whittaker totally nailed it as the new Doctor! The Woman Who Fell To Earth was a fun, exciting, and emotional start to the new series of Doctor Who. So, as this first episode of the new series closes with a cliff-hanger, we are left pondering where the Doctor and her companions adventures will take them next as we are treated to a glimpse of the galaxy of stars appearing in series 11 and a tantalizing trailer for he next episode. 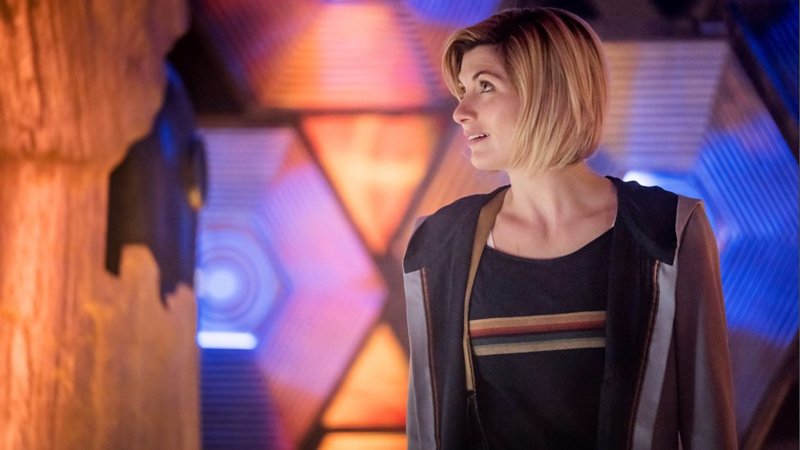 I can’t quite remember the last time I enjoyed an episode of new Doctor Who quite this much and known next to nothing about it, or indeed the series itself, before hand, and I think that’s been the key factor in making this new series feel extra special for everyone. We really don’t know what to expect this time around as everything feel so new and different The universe is calling and it looks like we are going to be in for one fun packed ride!